Can community owned wind farms overcome the stigmas surrounding wind energy? Since 2002, the installed wind generation capacity in Ireland has increased from 145 MW to 2,878 MW at the end of 2017. Driven by EU renewable energy targets, predominately being met by wind generation, which accounted for 22% of electricity produced last year. In terms of penetration levels, this puts Ireland’s wind capacity in contention for 2nd place globally. Looking at these numbers, the growth of wind energy appears to have been a great success. However, behind the scenes there is a slightly different story. While 72% of the public surveyed by RTE as part of Science Week 2017 are in favour, the remaining 28% have a rather negative opinion. This has led to the foundation of almost 50 lobbying groups nationwide, unified through Wind Aware Ireland. In 2014, submissions from 7,497 individuals and organisations were received in response to the public consultation on the revision of the 2006 Wind Energy Development Guidelines in relation to noise, setbacks and shadow flicker. This is really quite a staggering number, when you consider that only 137 submissions were received during the public consultation on Universal Health Insurance. Let’s look at some of the most common objections. Concern - Probably the most common complaint, “I do not want these things destroying my scenic view”, usually referred to as “not in my backyard” opposition. This is often backed by the argument that property values will fall. Unfortunately, existing research and commentary on this issue is widely varied and inconclusive, as can be seen in the table below     . Personally, I get excited by wind farms but to others the sight may appear an eyesore when compared to flowing hills. However, if these people were to personally benefit from the development, would their perception change? Furthermore, might this actually increase the value of properties as part of a sustainable community? Concern – On-shore wind farms require the destruction of “untouched” rural landscapes. This not only poses a threat to birds and bats from the turbine blades but the construction also requires the clearing of foliage and nesting habitat. However, according to a study by the US Fish and Wildlife Service, the threat posed by wind turbines to birds is considerably less than other man-made structures. In the UK, the Royal Society for the Protection of Birds (RSPB) says it supports wind power – not because wind farms pose a lower risk to birds than other energy sources – but because in its view climate change poses the “single greatest long-term threat” to bird species. Concern - Infrasound, a sub-audible wave that may be harmful to public health. According to a paper published by the Washington University School of Medicine, this can cause “disequilibrium (like seasickness, but not induced by movement), tinnitus, a sensation of fullness in the ear and worst of all, disturb sleep”. One story you may have heard is the Irish couple, Michael and Dorothy Keane, who under doctors’ orders, reportedly abandoned their home because of these stresses. One hypothesis suggests that is may be due to what is known as the nocebo effect. Similar to the placebo effect, the negative opinion formed in the public’s mind results in the development of mental stresses/annoyance associated with wind turbines. A paper from the Sydney School of Public Health concluded that given complaints of such ailments did not emerge until after the foundation of opposition groups in 2009 that these syndromes where mostly likely “communicated diseases”. At the beginning of November, the Green party announced its Community Energy (Co-ownership) Bill, which hopes to ensure the benefits of renewable energy developments can be seen by the locals. It outlines provisions “requiring the reservation or allocation of a 30% financial share for the local community” across a range of renewable sources. While I agree this is certainly a step in the right direction, I think there is a need to go further, following the example of the Templederry wind farm in Co. Tipperary, and give communities full ownership. This could help address the above concerns, generating a positive narrative for wind energy in Ireland. Empowering communities to take ownership of wind farms (and other renewable energy developments), would make them a matter of local pride. Along with the added benefit of transitioning, the community from energy consumers to “prosumers”. This may encourage habitual changes, key to the transition, such as increased awareness of energy use coupled with reduced consumption. Thanks to Paul Deane and John Smyth for edits. Firstly, it would probably be important to state that this article bares no reference to the movie that its title suggest. Rather, in my humble opinion it summarizes the Irish government’s policy for decentralised energy systems. Three weeks on from the release of the 2018 budget, I am still hung up on the resounding disappointment it was. Ireland will continue to carry the title as the only EU member state that doesn’t offer a support scheme for decentralised solar PV. Rather than encouraging growth in Ireland’s distributed energy sector, through incentives like subsidies and feed-in tariffs, the approach is to hope that enough good-hearted people will take it upon themselves to install domestic PV systems. While this perfectly fits the mandate of “cost optimal solution”, I have to wonder if “solution” is a rather grandiose term for doing nothing. In the EU database on PV funding, Ireland’s current support scheme is so poor it hasn’t even managed to secure the title of “bad” or “no value”, it just doesn’t exist. As opposed to the UK who can be seen as one of the few “smart” countries highlighted in green, who are actively trying to leave the EU. In the wake of a citizen’s assembly that addressed how Ireland can aspire to become a global leader in tackling climate change, I find this map quite embarrassing. Let us take a quick look at the cost of funding domestic PV systems. According to a report by Joseph Curtin; The case for an incentive scheme for rooftop solar PV “a generation tariff of 9 to 10 cent combined with an export tariff of 6.6 cent would be sufficient to incentivise deployment of rooftop solar, particularly for early adopters”. This is in-line with the example of the UK and German support schemes. At this level of subsidy, the analysis finds that at an installed capacity of 150 MW (or 50,000 homes at 3kW/home) by 2030 would result in an annual cost of €12.5 - 13.8 million. Alternatively, being a little more ambitious, 500,000 homes at the cost of €125 - 138 million annually. This is only slightly higher than the support of €117.8 million estimated for peat plant electrical generation in the PSO 2017/18 levy. The continued support of peat, a very carbon intensive fuel, is justified based on a need for security of supply from what is an indigenous fuel source. However, if the same level of financing were instead offered to domestic PV systems, this indigenous security of supply could still be achieved without the GHG emissions produced by peat generation. Though admittedly with added inconvenience of a variability in supply that is associated with solar energy. Returning to the point at hand. The agriculture-land leasing tax relief (Treatment of solar farms for the purposes of the Capital Acquisitions Tax (CAT) agricultural relief) offered in the 2018 budget is, to put it bluntly, a cop-out. My primary concern is that is looks to be more of the same with centralised, large-scale renewable generation. I fear it may continue the often negative narrative that wind energy has unfortunately been associated with; stories of developers cutting private deals with farmers for land, local opposition, pylons, eye soars and so on. Given the lack of progress to date in Ireland’s low carbon transition, it seems that wind energy has already shown, large centralised installers leasing/purchasing land from farmers is not the solution. Instead, farmers (and other consumers in the domestic market) ought to be offered incentives to take ownership of the energy systems themselves. In line with the 2015 Energy White Paper, Chapter 4: From passive consumer to active citizen, which stated that; “The energy system will change from one that is almost exclusively Government and utility led, to one where citizens and communities will increasingly be participants in energy efficiency and in renewable energy generation and distribution.” This has numerous benefits, including; generating local income, encouraging engagement with the energy transition and overcoming stigmas surrounding renewable energy. Most importantly creating a positive narrative for Ireland’s low carbon transition, which will be vital in generating meaningful societal change. This year marks the 100-year anniversary of when Henry Ford travelled to Ireland to establish Europe’s Ford headquarters situated on the Cork marina. The decision was met with praise, bringing nearly 7,000 jobs to the city (nearly 10% of the city’s population at the time), which established a base for the soon-to-be prevalent internal combustion engine (ICE) vehicle which would phase out the reliance of everyday transport on horse and carriage. But the horse and carriage wasn’t the only thing Henry Ford & Son Ltd. helped phase out. Until the early 1900s, the electric vehicle was on the rise. Small fleets of electric taxis were employed in London and the electric car was often seen as an attractive option for city driving. However, a lack of charging infrastructure and the discovery of large cheap oil reserves drove the electric car into near-extinction. Henry Ford’s production innovations brought down the cost of ICE vehicles, which created a greater price disparity between the ICE vehicle and electric car, keeping electric power almost entirely out of the road transport sector. Fast forward to today and ICE cars are flourishing, but the electric car is making a comeback, although not much has changed when it comes to the problems faced by consumers looking to buy a new car. Electric cars still have a more limited range when compared to the range of an ICE car and the price disparity still exists, although now to a lesser extent. Thankfully our view on the use of oil and the negative impacts it has on our environment has changed. The lower emissions of electric vehicles have revitalised interest in the technology and have sparked an international movement aimed at reducing transport greenhouse gas emissions. On this point, a disclaimer: while electric vehicles are less emissions intensive than their petrol or diesel counterpart, if all cars in Ireland were magically switched over to run off an electric powertrain overnight, it won’t do our emissions much good if we’re still getting our electricity from coal. For example, in 2015 the average new diesel car emitted about 120 grams of CO2 for every kilometre driven, while the Nissan Leaf was closer to 65 grams of CO2 ­per kilometre, although these emissions are coming from power plants rather than being released on roads. To adhere to the goals of the Paris Agreement, electric transport must be accompanied by renewable electricity. Many countries have policies and targets for ‘going electric’ and we are also starting to see considerable momentum from car manufacturers towards electric vehicles. For example, both France and the UK announced plans for an outright ban on the sale of ICE vehicles in 2040 and Volvo have announced plans to end the ICE in their cars by 2019. In Ireland the Minister for Transport, Shane Ross, cited an ambition that by 2030 all new cars and vans sold in Ireland will be zero-emissions capable. But looking at the sales of electric vehicles in Ireland, it seems that we still have a long way to go, and lot of barriers before we achieve an all-electric vehicle car stock. The Irish government has made purchasing electric vehicles cheaper by offering a subsidy for vehicle registration tax of up to €5,000 (€2,500 for plug-in hybrid electric vehicles) which supplements the additional SEAI grant of up to €5,000 meaning that the purchasing price of a Nissan Leaf (€21k - €26k) is comparable to that of your average petrol or diesel car. But sales of fully electric vehicles in Ireland have been low, amounting to about 400 vehicles in 2016 or about 0.3% of all Irish car sales according to the European Environmental Agency. If, as has been stated, the vehicle registration tax subsidy for fully electric and plug-in hybrid cars is taken away within the next decade, there will be a certain drop-off in sales (see graph). So why are we not buying electric vehicles? The reasons have to do with both vehicle technology and broader societal norms and preferences. Without a doubt, price and vehicle range still have a role to play, but the issue of slow electric vehicle uptake goes beyond this. People are heterogeneous, which is economic-speak for saying, we are all different. If I was to buy a car tomorrow, I have a good idea what I would like – a small, sleek looking car with good fuel economy and a nice red finish. A person with a family will probably have something very different in mind, for example a large car that can comfortably fit 5 people. Talk to a car enthusiast with deep pockets and they might opt for a Porsche. We’re all different, and while the automobile industry tries to cater for that, it has its own views on what people want too. Since the ICE vehicle is dominant on the roads, there are hundreds of types of petrol and diesel cars to choose from, while there are only about 10 varieties of electric car on sale in Ireland today. My sleek, red car just isn’t available as an electric just yet, nor is the large family oriented car. Ireland is a technology taker, meaning we don’t have much influence on how many types of electric vehicles are made, so electric vehicle uptake is partly in the hands of the automobile manufacturing countries. However, as Norway have shown, this isn’t an insurmountable barrier to achieving high uptake rates of electric vehicles. There are many policies, in addition to offering subsidies, that can increase electric vehicle uptake by overcoming societal barriers. To give just one example, increasing the knowledge base of car dealers and encouraging them to discuss the different attributes and benefits of electric vehicles with consumers could reframe and downplay the issue of range anxiety, which currently dominates public perception of electric vehicles, despite research from the US showing the problem to be overblown. While such a program might not be enough to convince someone to settle for what electric vehicles are available now, it may remove the social barrier for when their dream car comes rolling into a dealership using an electric motor. August 2017 in Ireland was rather cold and dull, yet for the most part well within its normal scope of variability. All twenty five principal weather stations recorded mean temperatures somewhat below their 1981-2010 long term average (LTA) and the number of recorded sunshine hours was also below the LTA at most stations. Overall, August was unexceptional in terms of precipitation with monthly totals ranging from 75% to 185% of the LTA across the country, and only one day with gale force winds was recorded (Met Éireann, 2017a). However, one event of localised extreme rainfall took place in the north western part of the country, causing extensive and severe flooding and landslides (Donegal Now, 2017; Maguire, 2017a). In the early morning of the 13th of August the United States National Hurricane Center (NHC) issued its first public advisory notice on the tropical depression no. 8. The NHC continued to issue updates on the storm four times daily until the evening of the 17th of August, when the storm moved away and no longer endangered the East Coast of the United States (NHC, 2017). The initial tropical depression developed east of the Bahamas and began to travel north-northwest towards the United States. It had an estimated minimum central pressure of 1,011mb and sustained winds of up to 35mph. With the decreasing pressure and strengthening winds, the depression evolved into a tropical storm, and received the name Gert on the evening of August 13th (NHC, 2017). Gert attained hurricane force in the early morning hours of August 15th, and began to veer northeast. Now travelling away from the continent, Gert continued to increase in strength and attained its maximum strength around 3am on August 17th, reaching 105mph in sustained winds with stronger gusts and a minimum central pressure of 967mb. From there on, the hurricane began to weaken quickly as it continued to move northeast into the colder waters of the North Atlantic, and was reduced to a post-tropical storm by the evening of August 17th (NHC, 2017). The remnants of Gert became absorbed by another low pressure system travelling across the Atlantic, before making landfall in the northwest of Ireland in the afternoon of the 22nd of August. The low pressure weather system brought extremely heavy, although very localised, rainfall yet no significant winds. North Co. Donegal was most affected with an extremely high 77.2mm of rain being recorded at Malin Head weather station, most of which fell in the space of just 8 hours (Fleming, 2017). This was the second wettest day (and the wettest August day) recorded at Malin Head since 1955. The only wetter day recorded was December 5th 2015 with 80.6mm of rain. However, on that day the precipitation was more evenly spread over a 24 hour period (Met Éireann, 2017b). At Malin Head, August 2017 as a whole received 185% of the LTA rainfall, where the above mentioned event was responsible for 83% of this total (Met Éireann 2017c). This downpour resulted in flash flooding in the eastern part of Co. Donegal, Co. Tyrone and Co. Derry/Londonderry. Flood waters caused severe structural damage to major roads and destroyed bridges (McClements, 2017; McClements et al., 2017). Many homes and businesses were damaged and local farmers reported losing farm animals to the flood waters (Highland Radio, 2017a). Tens of families registered as misplaced and worked with the local council to avail of temporary accommodation due to their homes being inundated (Maguire, 2017b). The city of Derry was virtually inaccessible by road and its airport had to temporarily shut down and cancel all flights (Highland Radio, 2017b). Worst affected however was the Inishowen Peninsula in Co. Donegal, where the damages included collapsed bridges and some roads being simply washed away. Some 1,500km of the road network were affected by the disaster on the Peninsula alone, parts of which are expected to remain impassable for weeks (Maguire, 2017b). Restoration works at the Cockhill Bridge, Buncarna, Co. Donegal. There were power shortages following the rain, caused by the flooding as well as lightning strikes. The Electricity Supply Board (ESB) estimated that at the height of the storm some 25,000 dwellings were without power throughout the country. On Inishowen 1,600 homes were still without power the following afternoon. In many cases it was deemed unsafe to restore the power until the flood waters have receded (McNeice, 2017). Irish Water has announced several burst mains and damages to wastewater infrastructure due to flooding, causing shortages in freshwater supply on the Peninsula (McNeice, 2017). At least two instances of landslides were also reported occurring at Grainne’s Gap, near Muff, and a smaller one in Urris (Donegal Now, 2017; Maguire, 2017a). With more than 100 people having to be rescued by the emergency services from their stranded cars or flooded properties, it is surprising that no serious injuries or deaths resulting from this event were recorded (McClements et al., 2017). Donegal Now (2017). Rain causes a mini landslide on a hill in Muff, 23rd August. [Accessed 6th Sept. 2017]. Fleming, G. (2017). Northwest flooding was ‘unprecedented’, Highland Radio, 24th August. [Accessed 6th Sept. 2017]. Highland Radio (2017a). Shocking details emerge over flooding devastation in Donegal, 23rd August. [Accessed 6th Sept. 2017]. Highland Radio (2017b). Flooding crisis: City of Derry Airport updates flight schedule for Thursday, 23rd August. [Accessed 6thSept. 2017]. Maguire, S. (2017a). Donegal woman tells of her lucky escape from horror mudslide that engulfed her home just seconds after she sat down for dinner, The Sun, 24thAugust. [Accessed 6th Sept. 2017]. Maguire, S. (2017b). Over 300 parts of Donegal road network damaged by floods, The Irish Times, 28th August. [Accessed 6th Sept. 2017]. McClements, F. (2017). More than 20 roads remain closed in Derry and Tyrone following floods, The Irish Times, 29th August. [Accessed 6th Sept. 2017]. McClements, F., D’Arcy, C., and Maguire, S. (2017). Devastation in northwest as month’s worth of rain falls in just a few hours, The Irish Times, 23rd August. [Accessed 6th Sept. 2017]. McNeice, S. (2017). ‘Severe damage’ in areas of Donegal after heavy flooding, News Talk, 23rd August. [Accessed 6th Sept. 2017]. Met Éireann (2017a). Weather Summary for August 2017. [Accessed 6th Sept. 2017]. Met Éireann (2017b). Data available on: Daily weather station data. [Accessed 6th Sept. 2017]. Met Éireann (2017c). Data available on: Monthly weather station data. [Accessed 6th Sept. 2017]. NHC (2017). Hurricane GERT advisory archive, National Hurricane Center. [Accessed 6th Sept. 2017]. Unlike other research fields where the work is performed with tangible samples and materials, attribution studies of extreme weather eventsdon’t offer that possibility, which make them sometimes quite difficult to understand. The analyses carried out by meteorologists and climatologists usually involve huge amounts of data which seem abstract until you make sense of them, identify what you are looking for, and present the results in a visual and comprehensible way. Through the review of the literature of attribution studies of extreme weather events, it is possible to find analogies to make the basis and methodology of theses studies easier to understand by comparing them with possible everyday activities or actions. Maybe the first and most well known analogy is the one of Professor Myles Allen of the loaded dice (you can watch the seminar “Loading the dice: climate change and extreme weather“ in our former post). If you repeatedly roll several dice, it can happen that initially everything seems normal, nothing extraordinary. However, if you look twice, more carefull y, you will soon realize that the number six seems to occur frequently. Of course, this could be by chance, but it could also be associated to other factor/s which would explain this apparently extraordinary number of sixes. But in order to discover that, you would have to roll the dice quite a few times to get to know the chances of obtaining so many sixes from all the rolls of the dice. So, in attribution of extreme events, it is also needed to run the model over and over again in order to obtain multiple results (ensembles) that can be analyzed in order to be able to draw some conclusions. Another analogy appeared in the Bulletin of the American Meteorological Society (BAMS) of 2014 (Herring et al., 2014), whose vision of how this new research field works is reflected in a video entitled Steroids, baseball, and climate change. Before you watch it, here is the outline. Imagine a baseball player who starts taking steroids. After that, he hits an average of 20% more home runs than before and so probably you would attribute this amazing improvement to the steroids. But was this the only factor which changed during that period? Maybe, he was able to spend more hours training, hired a new trainer, or changed his diet. But if all those factors didn’t change, we can say that the steroids are the responsible for that increase in the probability of him hitting more home runs. The BAMS issue of 2013 (Peterson et al., 2013) echoed another analogy from the University Corporation for Atmospheric Research(UCAR, 2012). In this case they use a car instead of a baseball player. If we go every day to work by car, but we increase the speed of our journey, the greater the speed, the more the likelihood of us having an accident. However, if this event unfortunately happens, it may not be due to the speed. It could be related to bad weather, another driver speaking by phone, an obstacle in the road… In this case atmospheric greenhouse gases are analogous to the speed. We can study the odds of having such an accident at a particular speed but also taking into account some of the other factors. That’s to say, maybe the speed was a key factor in the accident, but some other aspect could have played a role too (this is akin to natural climatic variability). In these two cases is clear that greenhouse gases could have being playing a role (steroids, speed), but that there are many other factors which could be influencing the result to some extent. However, understanding how greenhouse gases affect the likelihood or magnitude of an extreme weather event is a key step in the decision making process and the adaptation and mitigation measures for the long term, which should be still effective in 50 years’ time or more. Even though climate models may be intangible, I hope you can have a better understanding of attribution science of extreme weather events. So, here is a video where you can apply what you have learned so far and put all the pieces together to become aware of the importance of this methodology and the outcomes it can offer us in order to be prepared for a changing climate. This video is presented by the Climate & Development Knowledge Network (CDKN), who has an initiative to raise risk awareness in the developing countries. This Raising Risk Awareness initiative uses “state-of-the-art science to help Asian and African societies to understand the role of climate change in extreme weather events and prepare for future ones“. This project depends upon enthusiastic volunteers, citizen scientists who contribute to improvements in the science of attribution of extreme weather events and make a positive impact in societies around the world by offering some computing time. Meehl, G. A., cited 2012. As animated in steroids, baseball, and climate change: What do home runs and weather extremes have in common? UCAR video. Peterson, T. C., Stott, P, A., & and Herring, S.C. (2012). Explaining extreme events of 2011 from a climate perspective. Bulletin of the American Meteorological Society 93.7, 1041-1067. Peterson, T. C., Hoerling, M. P., Stott, P. A., & Herring, S. C. (2013).Explaining extreme events of 2012 from a climate perspective. Bulletin of the American Meteorological Society, 94(9), S1-S74. UCAR, (2012). Doping the atmosphere. AtmosNews, February 6th, 2012. Climate & Development Knowledge Network (CDKN). [Accessed 1stSeptember 2017]. I decided to apply for the Climate-KIC Summer School 2017 in the interests of expanding my knowledge in the field of climate action. Climate KIC focuses on the business and innovation potential of Climate Change challenges, and coming from a research background this very much interested me. Following a competitive application and interview process, I was accepted to join Journey 4, going from The Netherlands to Trondheim and finishing in Helsinki in the first week of August. This means that I am currently working as part of a diverse team of students and early career professionals from over 19 nations in Europe and beyond combined by a common interest in climate action. To give the Journey programme a broad overview would be to say that the course is based on the development of business and entrepreneurship skills among early career 'climate champions'. However over the course of 5 weeks we can expect to cover vast amounts of information and work on several areas of personal development related to business and entrepreneurship. For the first fortnight, we are based in Den Haag, Netherlands, and taking the opportunity to explore the vast range of climate and sustainability innovation taking place across the country. Week 1 of the Journey focused on fieldwork, ideation and problem-identification, as well as getting to know each other a in the context of team development, with the week culminating in the formation of teams that we will work in for the rest of the Journey with the aim of developing a climate-centred business idea, to be pitched to a panel of experts in Helsinki at the end of Week 5. Locations visited during Week 1 of the journey included the Zandmotor, Den Haag, a pioneering coastal defence project focused on the use of soft engineering methods; Wageningen University to visit a start-up incubator and to sample some of the more unusual local delicacies... NIOO-KNAW (the Netherlands Institute for Ecology) where we examined the circular economy and the concept of closed system technology. We also had the opportunity to visit Europe's largest rooftop farm, where aquaculture and agriculture are combined in an unlikely setting to pioneer a future of urban farming. A visit to Rotterdam allowed us to view a Resilient City in action, and to witness sustainable regeneration projects first hand. Our energy and climate policies are complex as they overlap in sometimes non-intuitive ways. Here is a quick review of some common misunderstandings and important points for Ireland. 1) Misunderstanding: Ireland's renewable energy target is 40%. Fact: Ireland’s renewable energy target is 16%. 2) Misunderstanding: Renewable Electricity helps meet Ireland’s GHG emissions reduction target. 3) Misunderstanding: Renewable transport is all about EV’s. Fact: Ireland’s target for renewable transport is 10% and is predominantly met by liquid biofuels. Ireland’s stated National Policy Position of an 80% reduction in emissions from energy is not aligned with our commitment under the Paris Climate agreement, which will require a far greater reduction both in Ireland and Europe. More. 5) Misunderstanding: It is all about supply side technologies. Fact: Demand side improvements and energy efficiency are vitally important. Energy efficiency has a central role to play and helps achieve both renewable energy and emissions reduction targets. However not on a 1:1 basis. A 1% reduction in energy consumption contributes an increase of 0.2% in overall renewable target. However, this changes with increased renewables target and decreased consumption. 6) Misunderstanding: It is all about the power system. Fact: Electricity is one fifth of the energy we use in Ireland. We need to look at heat and transport. Fact: Ireland is not on track to meet targets and will to have to purchase compliance to meet both. Ireland is unlikely to meet our binding renewable energy target and also unlikely to meet our emissions reduction obligations. This will be costly. Irish Agriculture is under the spotlight due its 33% contribution to Ireland’s Greenhouse Gas (GHG) emissions and the difficulty this creates in meeting binding emissions reduction targets for 2020. However is agriculture the climate villain solely responsible for Ireland not meeting its emissions reduction target?...Well yes and no. The short answer is that agricultural emissions present very large challenges for Ireland and this certainly needs to be addressed however these challenges are amplified as Ireland signed up to an emission reduction target that was very challenging…A longer outline of this is below but please note that there are a lot of EU Policy references in this post- unfortunately this is unavoidable as it allows us to tease out the full story. But let’s get going with some quick facts on Irish Agriculture starting with Dairy; Ireland produces less than 1% of global milk output (36th in the world in 2013) however globally we have the second highest level of milk production per Capita (see image where the area of the circle represents the milk production per capita...the colors..are just colors) and about 80% of milk output is exported. Irish agriculture has the lowest carbon footprint in the EU for milk, and the fifth lowest carbon footprint in the EU for beef however only about 1/3 of beef farms are currently profitable. Now here comes the first difficult piece in relation to Climate Policy: Ireland’s 2020 emissions reduction target is to achieve a 20% reduction of non-Emission Trading Scheme (non-ETS) sector emissions (i.e. agriculture, transport, heat) on 2005 levels with binding limits set for each year from 2013-2020…this last piece is important as compliance is measured across this period. Under a best case scenario, Ireland may meet its compliance obligations as we overachieved on annual limits in the period 2013-2017 and can bank these forward …..[It is one of the wonderful oddities of EU Policy that Member States can be compliant with Decisions but still not hit 'Targets']. Achieving compliance may allow us to avoid fines but it causes big problems post 2020. In 2020, instead of being 20% under 2005 levels, we may (at very best) achieve 14% below and herein lies the problem: Our ‘Policy’ and ‘Actual’ starting point for 2030 may already be 6% + apart. Now for the more difficult part….Where did the 20% target come from? For this we have to look back to 2008 and 2009. European Energy and Climate Policy are informed by computer models similar to the Integrated Energy Models we use in UCC. In 2008 the EU determined individual Member State non-ETS emissions reductions targets based on a least cost optimisation approach. In the results Ireland’s non-ETS emissions reduction was 17% below 2005 levels. The EU analysis indicated that this could be achieved at a marginal abatement cost of €40 - €50/tCO2. Next the ability of individual Member States to invest in mitigation was taken into account to ensure an equitable distribution of effort. Ireland had a relatively high level of GDP per capita in 2005 and was thus allocated a final target of 20% reduction relative to 2005 (the highest in the EU along with Denmark and Luxembourg). At that time Ireland did not have technical modelling capacity to challenge this. Since then the EPA and SEAI has funded UCC in the development of an Integrated Energy Model for Ireland (TIMES), which is similar to the framework the EU use to determine targets. Our analyses of Ireland targets found that the marginal abatement cost associated with meeting Ireland’s non-ETS target was more than four times higher than that calculated by the EC. Comparing the two over the period to 2020 suggests that the cost of this misinformed target for Ireland is quantified as close to €3.6 billion. While the Commission have never acknowledged this shortcoming, a careful reading of their Impact Assessment for the 2030 Framework suggests a target in the region of 7% rather than 20% would have been optimal for Ireland in 2020. The legacy of the 20% target puts the Irish Government in a difficult position and it puts the Commission in an awkward position. For the Irish Government a target marginally above 20% will be seen publicly as weak whereas a target in excess of this may be unachievable. For the Commission a target lower than 20% would mean admitting they got it wrong although a target marginally higher may be seen as giving Ireland a ‘free pass’. Two lessons that should be taken from this, 1) Bad policy costs money and distorts public opinion, 2) Targets must be based on credible evidence in a clear and transparent manner. A decision of the 2030 framework and associated Member State targets is expected next year. As COP21 enters the final negotiation stage in Paris this week let’s have a quick look at Ireland’s historic Greenhouse Gas emissions (GHG) and projections out to 2035. In contrast to the optimism in Paris this week, Ireland’s story makes for stark reading, see animation here. The animation was put together by UCC PhD researchers Tomás Mac Uidhir and Eamonn Mulholland and shows time-lapse emissions by sectors based on EPA data. The projected data was taken from what is called the ‘With Measures’ Scenario which assumes that no additional policies and measures, beyond those already in place by the end of 2013, are in place. It is a worst case scenario and reflects what may happen in the absence of strong action on emissions reduction. The contrast between the images is a reminder of the challenges facing Ireland. Can you pick out the impact of the Celtic Tiger and subsequent recession? Notice the strong growth in emissions particularly in Transport. This is a sector along with Agriculture that needs urgent attention. In the period 1990 – 2005, Ireland’s greenhouse gas emissions grew by about 25% in contrast to overall EU emission which dropped by 8%. This presents major challenges for Ireland as emissions reduction targets for Heat, Transport and Agriculture are referenced against 2005 and not 1990. Tomás’ research focuses on energy efficiency pathways across the economy. This work involves the construction of a sector specific emissions model for Ireland using the Long-range Energy Alternative Planning system (LEAP). Eamonn’s research focuses on the mapping of long-term low carbon policy and technology pathways in the transport sector using a combination of simulation and optimisation energy models. For me, one of the more interesting stories of 2015 was the change in U.S. oil imports, which marked an important milestone in the United States energy landscape. Although not widely reported, it was the first year that OPEC Countries were not the majority source of imported crude oil into the States. Traditionally OPEC had supplied up to 50% of crude imports but, this had fallen in the past two years. Many people may be surprised to learn that Canada with its costly tar sands, and woes over the Keystone XL Pipeline, is now the largest supplier of imported crude to the States. How did this happen? Well, two significant reasons (amongst many others) are farming and fracking. Oil consumption in the U.S. (like many Western economies) peaked around 2006 helped with the introduction of two pieces of legislation; In 2005 the Energy Policy Act obliged fuel distributors in the U.S. to blend ethanol into the gasoline supply for transport, and later in 2007 the Energy Independence and Security Actincreased fuel-economy standards for vehicles. Both these measures coupled with considerably higher oil prices caused a significant reduction in oil consumption in transport. Petroleum consumed by the U.S. Transportation Sector (Excluding Biofuels) saw a 10% drop from 2006 to 2014. The United States is the world’s largest producer of ethanol, with an output more than double that of the next-largest producer, Brazil. Of the more than 80 million acres of farm landharvested in 2014 for corn, approximately 40% of corn goes to ethanol production. While the greenhouse gas savings and sustainability criteria from corn ethanol are dubious at best, the accumulated savings in oil imports isn’t. Over 13.5 billion litres of ethanol was consumed in 2014, accounting for about 5% of energy use in transport, which displaced amounts of imported crude oil. The second part of the story is fracking, and the dramatic impact it has on domestic U.S. crude production and imports. U.S. field production of crude oil is almost back to its heyday when production reached an annual peak of 3.5 billion barrels in the 1970’s. In April 2014, North Dakota joined a small list of regions on the planet in producing over 1 million barrels a day, something completely unimaginable a number of years ago. The dramatic increase in domestic oil production has obviously lowered crude imports but it has also had another interesting impact. As explained by Reuters Energy Expert John Kemp, the densities of different oils play an import role. Oil from the larger America plays such North Dakota and Texas are light or low in density, whereas Canadian oils are generally much heavier*. Many refineries in the US operate on strict blending requirements, requiring to keep the average density roughly constant within the refinery operational design constraints, and thus require heavier oils to achieve optimum blends. Traditional U.S. crude oil feedstocks were denser than unconventional tight and shale oils produced in hydraulic fracturing. This is why U.S. imports of light oils have fallen to almost nothing while imports of much heavier oil from Canada have increased significantly in the past 2 years. Whether this trend will continue is hard to tell. On the 4th of December, while COP21 was meeting in Paris, OPEC met in Vienna and decided to continue current production levels in an effort to regain long term market share. On Dec. 18 U.S. Congress voted to let energy companies export crude for the first time since the OPEC oil embargo forced Americans to ration gasoline 40 years ago. With oil prices now below €40 a barrel and a world awash with cheap crude it will be an interesting next few months. Data for this article came from the US Energy Information Administration (http://www.eia.gov/) which is an exemplar resource for energy data dissemination. Thanks to James Glynn for edits. Environmental courts and tribunals are found in many countries around the world. Essentially, these are judicial or administrative bodies empowered by the State to specialise in resolving environmental disputes. Among the best known examples are: the Land and Environment Court in New South Wales, Australia; the Environment Court of New Zealand; the Vermont Environmental Court in the United States; and the Swedish Land and Environment Courts. England and Wales now has an Environment Tribunal and a recently established “Planning Court” which takes the form of a specialist “Planning List” in the High Court. Scotland is considering whether to establish an environmental court. In Ireland, there are no specialised environmental courts as such. Environmental cases are dealt with across the different courts, from the District Court to the Supreme Court. But we do have well-established environmental tribunals in the form of An Bord Pleanála and the Aquaculture Licences Appeals Board, while the Office of the Commissioner for Environmental Information deals with disputes over public access to information. Given the complexity of both the law and the technical issues that often arise in environmental disputes, it is timely to consider whether an environmental court is a good idea in the Irish context. Also, the mechanisms in place to determine environmental disputes must be assessed in light of Ireland’s obligations under international and European Union (EU) law. The Aarhus Convention and EU law require the State to provide mechanisms by which the public can challenge environmental decisions. These review procedures must be “fair, equitable, timely and not prohibitively expensive.” The high cost of legal services, delays in processing cases in the courts and dissatisfaction with the narrow scope of judicial review are frequent complaints from those involved in environmental litigation in Ireland. Greening Justice, a report published in 2009 by The Access Initiative, provided a detailed study of environmental courts and tribunals around the world. It presented the potential benefits of specialisation as including: greater efficiency and less cost; consistency in decision-making; improved judicial oversight leading to greater public confidence in the system; greater visibility of environmental issues; and scope to develop special procedures, including more flexibility and an emphasis on alternative dispute resolution. On the other hand, the potential disadvantages of specialisation include: how to define “environmental” cases; the fact that other areas of law, apart from environmental law, also deserve specialist knowledge; the risk of marginalising environmental courts from the mainstream judicial system; a potentially insufficient caseload to justify a specialist court; and the significant start up costs of setting up a new “stand alone” court. So there is clearly a wide range of important practical issues to be weighed up in determining whether a specialist environmental court would bring any added value to the current system operating in Ireland. Another significant issue is how best to recruit and appoint expert judges to preside over an environmental court? Apart from the obvious challenge posed by the relatively small pool of judges and lawyers in Ireland who specialise in planning and environmental matters, consideration would also have to be given to the potential role of experts who are not lawyers (i.e. technical and scientific experts) as members of a specialist environmental court. For example, the Land and Environment Court of New South Wales is made up of legally qualified judges and “Commissioners” who have qualifications and experience in a wide range of relevant areas including: town, country or environmental planning; environmental science; environmental assessment; natural resource management and engineering etc. The regional Land and Environment Courts in Sweden comprise a legally qualified judge, a technical judge (with technical expertise in environmental matters) and two expert lay members. The idea of specialist environmental judges who are comfortable with the material, willing to engage with it and who can understand the technical and scientific evidence is certainly attractive. Specialisation should deliver consistency and reliability in the case law. But addressing persistent problems with delay and cost is far more complicated than simply appointing specialist judges to deal with planning and environmental cases. Delivering faster and cheaper environmental justice will involve making significant changes to rules of practice and procedure, proactive and intensive case management by judges, and, of course, a commitment to invest the resources necessary to support the efficient administration of justice. If a specialist court is considered to be desirable, the question then arises as to what particular model should be adopted to suit the Irish context? A new “stand alone” environmental court or an environmental “division” or “list” within the existing court structure? Depending on how it is configured, establishing a new, wholly separate environmental court would probably require a constitutional amendment. On the other hand, an environmental “division” or “list” would not involve any radical change to the current system and could be designed along the lines of the Commercial Court which is, in effect, the Commercial List of the High Court which operates under special provisions of the Rules of the Superior Courts. Whether or not an environmental court is established, delivering a dispute resolution system that is efficient, affordable and user-friendly will require innovative approaches and a significant ongoing investment of resources by the State. A well-informed discussion among interested parties about how best to resolve environmental disputes in a manner that is compatible with Ireland’s obligations under the Aarhus Convention and EU law is the best starting point. An important part of that discussion must be how we can prevent or at least reduce environmental disputes. Working to improve the quality of decision-making at first instance, through specialised training, capacity building and access to expert advice for decision-makers, is an obvious practical step in the right direction. Exploring the idea of an environmental court for Ireland is part of a larger research project on the theme Strengthening Environmental Decision-making: Law, Technical Evidence and Institutional Design funded by an Irish Research Council New Foundations Grant 2014/15. This week the Irish government launched a draft of its National Mitigation Plan to combat climate change and reduce our greenhouse gas (GHG) emissions. In December 2015, an ambitious global agreement on climate change was agreed in Paris and was ratified by Minster Naughten on 4th November 2016. However, when we do the sums on Ireland’s emissions we see that the mitigation ambition for Ireland (and the EU) are a long way from what the Paris agreement requires. In the Paris Agreement there was consensus agreed to hold the increase in the global average temperature to “well below 2˚C” of pre-industrial levels, and to pursue efforts to limit the temperature increase to 1.5°C. The Paris Agreement requires each country to submit a plan called Nationally Determined Contributions (NDC) to reflect its highest possible ambition for GHG emissions reduction. Post Paris decarbonisation targets need to be ambitious, but they also need to be equitable and acknowledge that while all countries have a responsibility to reduce emissions not all countries have the same capacity to mitigate and adapt (especially developing regions). While there is often focus on the annual rate of CO2 emissions and the associated change in global temperature, multiple publications have recently shown that there is a strong relationship between cumulative anthropogenic emissions and temperature increase. This latter relationship is called the transient climate response to emissions (TCRE) and can simplify the science-policy interface. For a given temperature increase (and for a given probability), the TCRE enables us to calculate the associated amount of cumulative emissions, or in other words, the carbon budget. The TCRE shows that for every 1 trillion tonnes of CO2 we emit, global temperature will rise by about 0.52˚C. The simple strength of this near linear relationship in that, 1) long-term temperature does not depend on CO2 emissions at a specific time, 2) near term emissions are important as they also exhaust the carbon budget, and finally 3) CO2 emissions will need to be phased out to net zero eventually to achieve temperature stabilisation. Since pre-industrial times, we have emitted over 2 trillion tonnes of CO2 (roughly 75% from fossil fuels and cement production and 25% from land use change), thus raising the temperature of the planet by roughly 1.2 ˚C above 1880-1910 averages. That leaves only 0.3 ˚C to a 1.5˚C temperature increase and a very small carbon budget. The remaining global carbon budgets for 66% probability of limiting temperature rise to 2˚C is estimated between 590GtCO2 – 1240GtCO2. To overshoot and return below 1.5˚C by 2100 with greater than 50% probability it’s 200GtCO2 – 350GtCO2. The remaining carbon budget needs to be fairly allocated across borders and generations, or as the Paris Agreement puts it, equitably. Using our energy models here in UCC we have done some of the sums for what equitably might mean for Ireland. Irelands population is 0.064% of the global population in 2015. Ireland is estimated to have emitted 2,203 MtCO2 from fossil fuel combustion and cement production which is 0.068% of the 3,200GtCO2 carbon budget estimated to keep the temperature increase to 2˚C or less. Ireland is not in considerable debt to the 2˚C carbon budget unlike other nations that industrialised earlier. The Irish per capita share of the remaining 2˚C to 1.5˚C carbon budget is in the range of 766 MtCO­2-128 MtCO2. Irish CO2 emissions in 2015 were 37.9 MtCO2. If we continue emitting at this rate, we would emit over 1,300MtCO2 by 2050, and would exhaust the upper end of the 2˚C budget of 766MtCO2 by 2035. If Ireland follows the path towards an 80% reduction in CO2 by 2050, the 766 MtCO2 budget would be exhausted by 2045 with no residual emissions allowed thereafter. Finally, the option of capturing CO2 in CCS systems may buy some time but ultimately the energy system needs to be a net-zero emitter by between 2050 and 2070, and remain so thereafter. Some of these summary numbers are shown in the graphs below. It is clear from these calculations that short term mitigation ambition needs to increase so as to play an equitable role in meeting the the Paris Agreement goals. Equitable carbon budgets invoke awareness of long term net-zero emissions requirements by 2070, which means that national EU targets need to look beyond 2050. Ambitious early action will reduce long term costs and risks. The current EU climate and energy package targets of an 80% reduction of GHG on 1990 levels by 2050 are likely to underestimate the short term and long term mitigation ambition required on a national level to equitably meet the Paris Agreement goals. Thanks to Dr Paul Deane and Dr Fionn Rogan for comments & edits. 1. Schellnhuber, H. J., Rahmstorf, S. & Winkelmann, R. Why the right climate target was agreed in Paris. Nature Clim. Change 6, 649–653 (2016). 2. UNFCCC. Paris Agreement. 16 (United Nations Framework Convention on Climate Change, 2015). 3. Allen, M. R. et al. Warming caused by cumulative carbon emissions towards the trillionth tonne. Nature 458, 1163–1166 (2009). 4. IPCC. Climate Change 2013: The Physical Science Basis. (Cambridge University Press, 2013). 5. Meinshausen, M. et al. Greenhouse-gas emission targets for limiting global warming to 2 °C. Nature 458, 1158–1162 (2009). 6. Friedlingstein, P. et al. Persistent growth of CO2 emissions and implications for reaching climate targets. Nature Geosci 7, 709–715 (2014). 7. Rogelj, J. et al. Differences between carbon budget estimates unravelled. Nature Clim. Change 6, 245–252 (2016). 8. Rogelj, J. et al. Zero emission targets as long-term global goals for climate protection. Environ. Res. Lett. 10, 105007 (2015). 9. van Vuuren, D. P. et al. Carbon budgets and energy transition pathways. Environmental Research Letters 11, 075002 (2016). 10. Pachauri, R. K., Mayer, L. & Intergovernmental Panel on Climate Change. Climate change 2014: synthesis report. (2015). 11. Bows, A. & Anderson, K. Contraction and convergence: an assessment of the CCOptions model. Climatic Change 91, 275–290 (2008). 12. Kober, T., Van Der Zwaan, B. C. C. & RöSler, H. Emission Certificate Trade and Costs under Regional Burden-Sharing regimes for a 2C Climate Change COntrol Target. Climate Change Economics 05, 1440001 (2014). 13. Raupach, M. R. et al. Sharing a quota on cumulative carbon emissions. Nature Clim. Change 4, 873–879 (2014). 14. Robiou du Pont, Y. et al. Equitable mitigation to achieve the Paris Agreement goals. Nature Clim. Change 7, 38–43 (2017). 15. Quéré, C. L. et al. Global Carbon Budget 2016. Earth System Science Data 8, 605–649 (2016). in a recent contribution to Prime Time the journalist, David McCullagh, asked the question: with around a million diesel cars in Ireland, how do we battle the health risks of diesel exhaust emissions? Good question but the answers given were narrow and outdated and missed out on key information that the public needs to hear more often. this acidic gas a mention. The programme concentrated instead on PM emissions that we call coarse, PM10 and fine (not ultra-fine, Prime Time), PM2.5. That’s good as far as it goes and about 5-10 years ago the programme might have been cutting edge. But we know so much more now that was ignored by the programme makers. I’ll begin with the health effects. About 20 of the PM2.5 particles can sit side by side in a single hair and so they can get into our lungs and give rise to cancer and COPD because of their often toxic chemical composition that can be acidic, metallic and carcinogenic-organic. But it is when they get into our blood supply that the majority of premature deaths come from. That is because the particles can cause inflammation in the arteries and subsequent plaque build-up into which even smaller particles that we call Ultra-Fines (UFP) can be deposited. Cardio problems and strokes can result from the restricted blood flows. Nitrogen dioxide can do the same and because it is a gas it gets everywhere. In fact it is estimated for Ireland that about 1600 premature deaths are caused by air pollution. With only 100 due to NO2 and the rest to PM2.5. That’s a very different proportion from London. The programme should have asked the question: why? The answer is simple because the 1600 in Ireland is a complete statistical guesstimate as we have such a limited air monitoring programme that provides real-time data on the two important pollutants, especially from road-side sites. (The London figurers are also based on statistics but there they do have high quality monitoring data making the models used very reliable). The role of UFPs or nano particles as they are sometimes called is also a topic of much interest to the health community. If you were able to split a hair lengthwise into about 500 sections then each would be about the width of a nano particle. These have recently been suggested to lead to increased dementia effects for those living close to busy roads. But of note here is that rather than the petrol vs diesel health battle that “Diesel Nation” degenerated into there is another culprit that was ignored. That is some of the UFPs and somewhat larger particles are due to non-exhaust emissions like brake or tyre wear. The programme did, rightly, concentrate on the air that cyclists breathe in. If I could ride a bike then I would definitely wear the finest mesh mask I could buy! But there is much more modern work available on the air that drivers breathe in that was not mentioned. And it shows that they breathe in higher levels than pedestrians and cyclists! Results from a “smogmobile” study found that levels of nitrogen dioxide (NO2) were on average 21% higher inside the vehicle with the windows shut than on the road outside. Bad for motorists yes. But what about truck and bus drivers who work behind the wheel all day every day? Then there was the inevitable diesel vs petrol battle on climate change. That is diesel good because the government told us and petrol bad because the government told us. Well it’s not that simple. For example, because in Ireland there are so many tax breaks for diesel cars and trucks, drivers can afford to buy more fuel if they want to. And then drive longer distances on more visits than a petrol head can afford. What does that variable do to the climate change calculation? Most disappointingly the words Electric Vehicles did not figure once in the debate. And why should we not solve the clean energy and solar powered electric vehicles challenge before 2050? We got a man to the moon in 10 years. Apollo the problem, world, and invest in suitable research and development now. Including Ireland. All of this is no longer a petrol vs diesel debate and Prime Time missed a real opportunity here to inform the public about thinking positively on clean energy leading to clean air. But someone will have to pay and that likely means all of us. Admittedly the economics are complex. But factoring in health care costs for air pollution and insurance costs for climate change from burning fossil fuels needs to be taken into account on any balance sheet. Electric cars, buses and trucks are all available. So the Irish turbo charging electric network needs to be improved massively. Increasing diesel prices could help fund this improvement. But increasing petrol costs too should happen. decision at the time. But that’s life. We have to start paying to invest in the future now. Or planet Earth will become unsustainable for future generations. That should have been the message from this Prime Time programme. Paul Buckley is a Postgraduate Scholar in the Department of Chemistry and Environmental Research Institute at University College Cork. In 2015, Paul was awarded an Environmental Protection Agency Postgraduate Scholarship, allowing him to carry out his research project, entitled “Nature and Origin of Black Carbon in Ireland,” in the Centre for Research into Atmospheric Chemistry. His blog is part of our theme for the month of April, "Planes, Trains and Automobiles." One of the best aspects about researching the topic of air quality is that everyone you meet has an opinion, and you can have a conversation with most people about it. The questions I get asked most frequently are “What is black carbon?”, “Where does it come from?”, and of course “How does it affect me?” Hopefully I can answer these questions for you here. Black carbon (BC) is another name for soot, something we are all very used to seeing in fire places or on car exhausts. However, each individual soot particle is extremely small, invisible to our eyes. Even though they are miniscule, the large numbers of these particles combine to produce some extreme effects. Firstly, BC is a major positive radiative forcing agent in our atmosphere. This, despite what the name may suggest, is not a good thing. In fact, it means that BC contributes in a big way to global warming. Today, BC particles are now recognised as the second most important positive forcing agent, behind the much more famous carbon dioxide. Secondly, BC particles can also have some serious health effects. Do you know anyone with asthma or other respiratory problems? Well, BC particles are small enough to penetrate deep into our lungs and can exacerbate conditions like asthma upon exposure. Some BC particles are even small enough to enter the blood stream and be transported around the body. Depending on where they are dropped off they can do serious damage ranging from heart disease to interfering with organ functions. With this in mind, it is clear that reducing BC concentrations will be beneficial for climate, air quality and human health. My work is focused on identifying the sources of BC in Ireland, with the aim of informing policy and shaping regulations in the future. My research is tied to two Environmental Protection Agency (EPA) projects based on quantifying the contribution of domestic solid fuel burning to pollution in residential areas and also identifying seasonal variations in BC emissions. These field measurements have shown that extremely high levels of BC occur in the evening during winter months in Irish towns outside of the smoky coal ban (Killarney, Enniscorthy, and Birr). Concentrations of up to 65 µg/m3 were observed for short periods, which are over 100 times the background level, observed on “unpolluted” days. In Enniscorthy, the daily average for black carbon in January was 3.99 µg/m3, twice the concentration observed in Paris during the same month. Importantly, our instruments show that the peaks in BC were due to burning of coal, peat and wood for home heating. Dublin shows higher background levels of BC due to traffic emissions, but a sizeable increase is observed in during winter months which is also attributed to solid fuel burning. In conclusion, BC has a huge impact on the environment and on our health. My work shows that domestic solid fuel burning is the major source of this pollution and hopefully, the results will inform and help shape air quality legislation over the coming years. Paz Vilanova Plana, a PhD student from the University Duisburg-Essen in Germany, visited the Environmental Research Institute for a secondment of 5 weeks. Paz is part of ATBEST program (Advanced Technologies for Biogas Efficiency, Sustainability and Transport). Funded by the European Union, the ATBEST program is a Marie Curie Initial Training Network, which is collaboration between eight partners located in Germany, the UK, Ireland and Sweden. The project involves different phases along the biogas supply chain, improving its competitiveness with respect to fossil derived fuels and increasing the sustainability of the biogas industry in Europe. Fourteen researchers work in different work packages. Paz’s research project is Digestate distribution for large biogas plants; storage and transport, which is part of the work package 5; Optimum Biogas Utilisation. During the PhD, the ATBEST researchers will attend several secondments that allow exchanging knowledge and developing collaborations between Universities and Institutes. For this reason Paz came to work at the Sustainable Energy & Environmental Engineering research group headed by Professor Jerry Murphy. In the course of her stay at the ERI, Paz worked with QGIS and ArcGIS to develop a mapping analysis for North Rhine-Westphalia in Germany. The first week of June in 2016 bore witness to the 35th annual International Energy Workshop (IEW) hosted in Ireland’s own University College Cork. The annual IEW event has been held across the globe, stretching from Beijing to Washington, to Abu Dhabi, to Cape Town, before being held in our very own rebel county. The workshop brought together some of the best and brightest minds in the area of climate science, economics, and energy forecasting to discuss the future energy needs of our planet and what needs to be done to prevent CO2 emissions from spiralling out of control. The international nature of the event meant that delegates had to travel long distances and emit a lot of CO2 to attend; at the same time, the event was supposed to be addressing how not to emit a lot of CO2… so this workshop decided to try something a little different to its predecessors: go carbon neutral. If you travelled for 100km, making the trip in a plane as compared with a car would actually emit less CO2 - taking a bus or train would prove better again. As it turns out, our participants from China weren’t so eager to take the Trans-Siberian railway to Cork, so they had no other option than to fly a 20,000 km round trip. These return flights emit nearly 2 tonnes of CO2­, which is about the same amount as the average Irish driver would emit in a year in a brand new car. And this is only for just one passenger; the combined travel of all delegates meant that nearly 80 tonnes of CO2 was emitted in just getting to Cork. To offset these emissions, the hosts of IEW looked at a range of options to make the event as green as possible. While there are many ways to reduce the carbon associated with organising a conference (we’ll get to these in a sec), the most obvious way to go carbon neutral is to plant some trees. During online registration, conference delegates had the option to contribute €5, €10, or €25 towards afforestation for greening the event. The sum of these contributions were passed on to the good folks at WeForest, where every dollar donated means a tree will be put in the ground – and in the case of IEW, these trees were planted in the western region of the Sao Paulo state, Brazil, in a project which employs locals to plant and care for the trees. The contributions were able to provide funding for 500 trees to be planted, which would offset close to 37 tonnes of CO2 over 10 years – or half the level of carbon created by those travelling to the workshop. 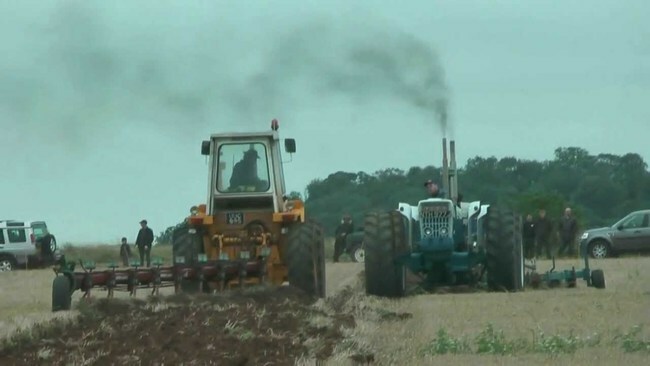 To cover the rest, the conference organisers approached the Irish forestry board, Coillte, who kindly agreed to plant 2 hectares of trees to offset more than the remaining Carbon emissions, which as it turned out was more than enough to offset the remaining travel emissions associated with the event. Only vegetarian options for food were given for one day (carbon emissions from meat are much higher than from vegetables). Food waste was transported by Country Clean Recycling to a green gas plant, where the waste was converted into bio-methane (which can be used as an energy source). Enough bio-methane was produced to cover half of the emissions associated with lighting for the workshop. Paper usage was almost completely avoided: none of the conference delegates received a traditional conference pack of notebook, paper agenda and location map – the agenda of the workshop was distributed digitally via a conference app. This was surprisingly well received. While these additional steps were useful in reducing the carbon footstep of the conference itself, 97% of all emissions were related to the travel to the conference. These efforts show the challenges facing us if we are to work towards global carbon neutrality by the end of the century, but perhaps most importantly, it shows what can be achieved when we decide to take action in our immediate environment. Last month I provided assistance to Trócaire in their submission on fossil fuel divestment from the Irish Strategic Investment Fund (ISIF). A similar piece of work I was involved in last year is here. This year’s analysis shows the fund had investments in over 150 companies in the fossil fuel sector with a value of €133 million. Research by Corporate Knights estimate that had the ISIF sold off its fossil fuel stocks in favor of investing in clean energy companies, the fund would have accumulated €22 million more while lowering the portfolio’s carbon footprint by 48%. Outside of the fossil fuel investments mentioned by the Trócaire work, there are also investments in Aerospace and Weapons, Tobacco and yes…. surprisingly even Juventus football club. Let’s quickly look at the context of these investments: The National Treasury Management Agency (NTMA) controls and manages the Ireland Strategic Investment Fund, which was established in December 2014 with a statutory mandate to invest on a commercial basis in a manner designed to support economic activity and employment in the State. The ISIF is the successor to the National Pensions Reserve Fund. Within the fund there are two portfolios; 1) The Discretionary Portfolio which is valued at €7.859bn in 2015. These investments are the responsibility of the NTMA and 2) The Directed Portfolio had a valuation of €14.0bn at end-2015. These are public policy investments made at the direction of the Minister for Finance. In 2015, the Discretionary Portfolio contained about 133€m in investments in Fossil Fuel companies, 7€m in investments in Defence\Weapons manufacturing or related companies and 2€m in Tobacco companies. These investments represent less than 2% of overall investment in the Discretionary Portfolio. The NTMA have pointed out that these holdings are legacy investments inherited from the National Pensions Reserve Fund and any exclusions on the basis of ethical investment criteria had to be mandated by legislation. Currently, the Cluster Munitions and Anti-Personnel Mines Act 2008 is the only relevant legislation so far. Some of our fossil fuel investments include major coal producers such as China Coal Energy and Shenhua Energy Company Limited, which is the largest coal mining state-owned enterprise in Mainland China. Investments in Europe’s largest CO2 emitters are also held (PGE Polska Grupa in Poland and RWE Group in Germany). I have found 9 companies linked to the manufacturing of weapons/defense systems or with indirect links to associated companies who manufacture weapons and defense systems. These including Finmeccanica, one of the top 10 defense contractors in the world and Airbus Group who manufacturer drone and military aircraft. Other companies in the portfolio such as Doosan Heavy Industries and Hyundai Heavy Industries have subsidiary companies outside of the portfolio involved in the manufacturing of military vehicles and weapons. Investments in Philip Morris International and British American Tobacco also exist. The NTMA support many good investments in Irish Companies and clean energy Companies across the globe (for example Solarcity). However, in a week where the National Climate Advisory Council and the EPA State of Ireland reporthighlight the urgent need for action on climate issues in Ireland, it would be encouraging to see the NTMA move investments from these ethically questionable companies and support a vision of Ireland that is aligned with our Government's stated intention of a low-carbon, climate-resilient and environmentally sustainable economy by 2050. Yes, these divestments are not going to change the world but they could help change Ireland for the better. The decarbonisation of transport presents a huge challenge for Europe. EU transport is responsible for about one third of final energy consumption (353 Mtoe), 23% of total EU emissions (excluding international maritime) and relies on oil for 94% of its energy needs. Transport also represents a big environmental concern in terms of air pollution. Road transport represented the largest source of NOx emissions in 2013 and one of the main sources of particulate matter PM2.5 emissions. The policy drivers to enable renewable transport are set out in the EU's Renewable Energy Directive which sets a binding target of gross final energy consumption from renewable sources for Member States by 2020 but also requires Member States to have at least 10% of their transport fuels from renewable sources by 2020 (weightings are allowed to be applied to certain biofuels, and only biofuels that meet specific sustainability criteria can be included). Today liquid biofuels in road transport make the largest contribution to the 10% RES-T target. Progress on the 10% RES-T target has been challenging however, reaching a 5.7% share in 2014 with a number of Member States expected not to meet their target  (the map above shows current gaps to target by Member State). Part of the reason for the slow progress to the targets is political uncertainty and discussions around the environmental effectiveness of certain biofuel pathways when emissions from indirect land use change are taken into account. While the production of biofuels originally received strong encouragement from the Commission, current debates at both a European and national level have begun to identify their limitations. Also, when the 2020 RES-T targets were defined it was assumed that there would be significant developments in the area of second generation biofuels and that these fuels would make a substantial contribution towards the targets, however this has not materialized. Nevertheless, the role of bioenergy in transport is often overlooked and bioenergy from wastes, residues, and low indirect land use feedstocks (bio-liquids and biogas) will have an important role to play in renewable transport. For example, research from UCC’s biofuels group shows how 1.1% of grassland in Ireland can allow 10% renewable energy supply in transport . Bioenergy is especially relevant for the areas of transport which are difficult to electrify such as heavy transport, vans, public transport, aviation, and shipping. In all, these modes represented 42% of energy demand in the EU in 2015. Another part of the challenge that face EVs is that current internal combustion engines (ICE) are improving in efficiency and, in effect, EV technology has to run fast just to stand still. European CO2 targets for vehicles are 95gCO2/km for cars as of 2021 and 147gCO2/km for vans as of 2020. The average level of emissions of a new car sold in Europe in 2014 was 121.6 gCO2/km, outperforming the 2015 target of 130 gCO2/km . This means that for EVs the carbon intensity of the supplied electricity should be less than about 480 g/kWh to achieve direct CO2 emission reductions (over a new ICE car) in 2020. While recent events such as Volkswagen’s deliberate cheating of the emissions tests has led us to question the reliability of emissions estimates from cars, total emissions from road transport are estimated based on total fuel sold and are therefore robust. Taxation can be used to help displace fossil fuel in transport and encourage renewable fuels. Transport in Europe is predominantly diesel based (54%) and most EU Member States, except the UK, tax diesel at a lower rate than petrol per litre. Given that the energy and carbon content of a litre of diesel is higher, petrol attracts a higher tax per unit of energy or carbon emissions. From a decarbonisation of transport perspective, the lower tax rate on diesel fuel is hard to justify, especially given the higher emissions of carbon and of harmful air pollutants, notably particulate matter and NOx, per litre of fuel used. Post 2020 the policy landscape for renewable transport is uncertain. There will be no binding renewable energy EU targets at Member State level after 2020, however Member States will have binding emissions reduction targets for transport/heat/agriculture in the so called Non-ETS sectors, as discussed here. [Note that EVs move transport emissions from the Non-ETS into the ETS]. This will force Member States to have a closer look at emissions in transport but will more than likely encourage a focus on efficiency due to lower marginal abatement costs. The Commission has bounced around the idea of a blending obligation to promote the development of advanced renewable fuels which are not based on food crops  and time will tell whether this has will be accepted politically. EVs are sure to play a big part in the decarbonisation of transport, however costs need to come down and widespread deployment (in the absence of very generous subsidies as in Norway) is unlikely in the short to medium term. Modelling by the Commission under the recent EU reference scenario shows electricity in road transport reaching only 1% (of energy in transport) by 2030….EVs will have their day but it may be further down the road than we hoped. *In 2015, electric vehicles had a 22 % market share in Norway. This is first and foremost due to a substantial package of incentives developed to promote zero emission cars. +The level of blending of traditional biodiesel with diesel is impacted by the so called ‘blend wall’ which limits the blend to 7% by volume. 4-European Environment Agency, “Monitoring CO2 emissions from new passenger cars and vans in 2014,” EEA, Luxembourg, 2015. A Historic Week for Climate Talks and International Aviation? Government ministers and the international aviation industry meet this week in Montréal at the ICAO's 39th Assembly to discuss a global plan for emissions reduction. The proposed scheme ‘Carbon Offsetting and Reduction Scheme for International Aviation’ (CORSIA) aims to help international aviation meet its self-stated environmental goals of carbon neutral growth post 2020. Let’s have a look at what is involved. All sectors of the global economy, including aviation, must contribute to greenhouse gas emission reduction efforts in order to keep the global temperature increase well below 2°C compared to pre-industrial levels. Emissions from domestic aviation are considered under the UNFCCC; however, international aviation is different: given the difficulties in allocating a flight’s emissions between countries, a special UN agency called the International Civil Agency Organisation or ICAO manages the sector and therefore international aviation emissions are not included in countries’ Nationally Determined Contributions' under the Paris Agreement. Aviation is one of the strongest growing transport sectors globally. Since 1970, global air traffic has doubled every 15 years, a trend which is expected to continue. Airline operations (domestic and international) produced 705 million metric tonnes (Mt) of CO2 in 2013, just under 2% of total man-made CO2 emissions. In the period up to 2050, worldwide aviation is expected to grow by up to 5% annually. If fuel consumption and CO2 emissions were to grow at the same rate, CO2 emissions from global aviation in 2050 would be more than six times the current figure, so there is a prompt need for action. Market-based measures (MBM) therefore, have long been held as an economically efficient approach to tackling the problem of rising emissions. The EU led the way in implementing MBMs by including aviation in its Emission Trading System (EU ETS) although the original scheme was fiercely resisted by the industry and its geographic scope now only covers intra EU flights. The ICAO proposed scheme encourages countries (the first phase of the scheme is voluntary until 2023, whereupon it is mandatory with exceptions for certain countries such as small island states, landlocked developing states, etc) to address and offset emissions over and above a 2020 baseline through the reduction of emissions elsewhere outside the aviation sector. States may offset emissions through existing schemes such as the UNFCCC's Clean Development Mechanism or buying allowances from emissions trading schemes. Given the projected low cost of emissions permits the scheme is not expected to be a financial burden on the industry - as reported by the ICAO secretariat in 2025 total offsetting costs may vary from 0.2 to 0.6% of total revenues from international aviation depending on the assumed carbon prices, therefore the costs related to the implementation of the scheme are expected to have a much lesser impact on international aviation than that caused by fuel price volatility. Environmental groups will be keeping a close eye on negotiations as the scheme is currently unclear on how the environmental integrity will be policed or how double counting of emissions will be avoided. There can be little doubt that this is the start of a long path of bringing emissions from international aviation in line with the global effort for decarbonisation. As of 23 September 2016, 58 countries, representing more than 80% of international aviation activity, intend to voluntarily participate in the global scheme from its outset. Let’s see what happens during the week. International Aviation's on its own is approximately 1.5%. Last month the European Commission proposed new emissions reduction targets for Ireland. The targets are for the year 2030 for the so called ‘Non-ETS’ sectors. These are the transport, agriculture and heating sectors and collectively represent about 70% of Ireland’s greenhouse gas (GHG) emissions. The proposed target is a 30% reduction in emissions below 2005 levels with binding annual limits post 2020. New flexibility options are also available, which if used will deliver an overall target of 21% below 2005 levels. Given that the current target for 2020 is a 20% reduction in emissions, the proposed targets were received with mixed reaction-. An important consideration on how this target was viewed is how you consider the current target of 20%. Our UCC analysis (and later European Commissions analysis) showed that the current target was well below what was consider cost effective and fair. Instead of 20% it should have been closer to 7%. So if you were not able to read the 200 or so pages in the Commissions documentation let me try and spare you some of the pain and give a short summary of the process on how these targets were determined. Let’s start with the EU's long term objective which is to reduce GHG emissions by 80-95% by 2050 compared to 1990 with a milestone of 40% reductions in 2030. Chief policies to achieve this include the EU Emissions Trading System (ETS), which is a cap for the EU-wide GHG emissions of the sectors covered (mainly electricity), and also a set of legally binding country specific targets for the emissions of sectors not covered by the ETS in what is called the ‘Effort Sharing Decision’ (ESD). It is called the ‘effort sharing decision’ as not all Member States are expected to carry the responsibility of emissions reduction equally. Richer Member States are correctly expected to do more than lower income Member States. The current ESD was established in 2009 and covers mainly emissions in the transport, buildings, agriculture, small industry and waste sectors. These sectors accounted for more than 55% of total EU GHG emissions in 2013 and about 70% of Ireland’s current emissions. Ireland’s existing legally binding target for 2020 is a 20% reduction relative to 2005 and we are not on track to meet it. The ESD is an environmental law, and therefore falls within European powers and so decisions about it are made at the European level rather than the Member State level however Member States can and do engage in the determination of the targets. Within the EU framework, emissions reduction targets are expected to reflect a balance between with fairness, cost effectiveness and environmental integrity. This is a difficult balancing act as different Member States have varying investment capability and economic strength as well as emission reduction potentials and costs. The Commission approach this problem by looking at what targets each Member States would get in 2 different ways. Firstly, a ‘GDP per Capita’ approach is applied to apportion the EU wide reduction target across Member States depending on their ability to pay. Secondly a separate ‘cost effective’ approach seeks to understand what emissions reduction can be achieved at least cost across Europe as a whole. It is easier to think of this method as a way to reveal emission reduction possibilities in each Member States if a consistent carbon tax was applied across Europe*. Both these approaches have strengths and weaknesses. Setting targets on GDP/Capita improves fairness towards lower income Member States however can result in costly efforts for higher income Member States with limited remaining mitigation potentials. Applying ‘cost-effectiveness’ as sole criterion for the distribution of efforts can results in higher efforts and costs per unit of GDP for lower income Member States. So what does all this mean? Well ideally when you apply both these approaches you would like to see similar results for each method for a Member State. However, in the recent EU analysis when these techniques were applied, it became obvious that two Member States stood out like proverbial sore thumbs……Luxembourg and Ireland. Ireland and Luxembourg represent 3% of Member State emissions but have the highest GHG per capita emissions in the EU. Ireland has the 4th highest GDP/Capita in Europe (thankfully recent GDP figures were not used) and Ireland also the highest share of agriculture non-CO2 emissions in the ESD (40% compared to Latvia who is second at 28%). According to the EU analysis, if Ireland’s 2030 target was based on GDP/Capita alone, it would be a 39% reduction relative to 2005, well below the current target of 20%, but if Ireland’s 2030 target was based on ‘costs effectiveness’ alone, it would be a 15% reduction relatively to 2005...well above the current target of 20% (for 2020). In the end a target of 30% was settled for Ireland by lower our GDP/Capita target and raising the targets for UK, FR and DE and other Member States. The new targets also included flexibility options to soften the target further however the new flexibility options are not ‘free passes’ as costs are involved and actions required. These flexibility options for Ireland include a limited transfer of 19 million ETS credits, in which there is a cost attached in the form of foregone ETS auctioning revenues, and the use of land use, land use change and forestry credits (LULUCF) in which there is a cost of implementation. These flexibilities were introduced because the 2030 EU climate target is now a domestic target. This means that international credits will no longer be a flexibility option after 2020 and the Commission concluded that the absence of flexibility options would make targets more difficult to achieve. The inclusion of LULUCF recognises that there is a lower mitigation potential for emissions from agriculture while the ETS flexibility addresses cost-efficiency concerns. The inclusion of these flexibilities was controversial with a number of NGO’s and think-tanks fearing they would cause delay of action in ESD sectors both in higher and lower income Member States while additional abatement in the ETS would be uncertain. So how does the new target stack up? This depends on where you think non-ETS emissions will be in the year 2020. According to the EPA, Ireland’s non-ETS emissions are projected to be 6% or 11% below 2005 levels in 2020 under two scenarios called the ‘With Measures’ and the ‘With Additional Measures’scenarios. Currently policy efforts are more aligned with the ‘With Measures’Scenario and probably heading for a 6% reduction in emissions by 2020. This is important as this forms a pathway to our starting point for the period to 2030. At EU wide level, Ireland’s gross target of 30% would have represented one of the highest targets in Europe on a total tonnes GHG removed per/capita basic over the period 2021-2030 (approximately 2.5 – 3.0 times higher than the EU average). The inclusion of flexibilities brings our proposed target (in terms of tonnes GHG removed per/capita) in Ireland in line with the EU average assuming the EPA’s ‘With Measures’ Scenarios and brings us under the EU average if we meet an 11% reduction in emission by 2020. Whether you think the targets are a good or bad deal for Ireland one thing that needs to be agreed on is action. The Non-ETS sector has traditionally represented a challenge for Ireland in terms of emissions reduction and immediately requires a strong refocussing of effort and policy on transport, agriculture and heat. This represent 70% of our emissions and requires urgent attention if we are serious about decarbonising our economy. A reading of their Impact Assessment for the 2030 Framework (http://eur-lex.europa.eu/legal-content/EN/ALL/?uri=CELEX:52014SC0015) suggests a target in the region of 7% rather than 20% would have been cost optimal for Ireland in 2020. Conversations on energy are generally dominated by supply side technologies or infrastructural requirements. Solar energy is the currently en vogue with some sources promising 7,300 jobs, increased energy security and lower energy bills…. The boundaries of the energy system don’t stop however at the end of a pipeline or at the end of a wire; they extend into our lives, our mental and physical wellbeing and livelihoods. Into this arena, Ireland’s strategy for energy poverty was released earlier this year and marks an important step-change in how we think about energy planning. The report ‘A Strategy to Combat Energy Poverty’ is not a typical glorious strategy aiming solve all problems…it does not promise 1000’s of jobs (so it was no surprise that report received little attention in the media) nor does it set unrealistic targets. Instead it provides a measured approach, recognizing the difficult and complex challenges of energy poverty and while the strategy is based on evidence it also acknowledges gaps in that evidence. Energy poverty is a complex and multi-dimensional concept but can be thought of as a situation in which households are not able to adequately heat their homes or meet other required household energy services at an affordable cost. The graph below from an EU published report captures some of these complex interactions. Ireland has a problem with energy poverty. Analysis that fed into the strategy found that 28% of households in Ireland could be in energy poverty. Other important findings were that social housing has a very high prevalence of fuel poverty, as do properties heated via oil and solid fuels and the BER has a strong effect on prevalence of fuel poverty. While energy efficiency improvements alone may not be sufficient to lift a household out of deprivation, energy efficiency measures do help. Energy poverty has important consequences if not addressed, such as further entrenching poverty and making other objectives less attainable, e.g. addressing climate change. Energy poverty also has consequences relating to excess winter mortality and to increased rates of cardiovascular and respiratory diseases. Ireland has some of the highest incidences in the world of cardiovascular and respiratory diseases, but Ireland also has an ageing population and it is likely that the impact of these illnesses on our already overburdened health system will increase. It typically costs just under €1,000 a day (excluding medication costs) to keep a person in hospital and in addition, older people tend to absorb a high proportion of resources in the health system, particularly in terms of hospital bed nights. Within the new strategy the “Warmth and Wellbeing Pilot” scheme is proposed which will target deep energy efficiency interventions at people in energy poverty who are suffering from acute health conditions and living in poorly insulated homes. This scheme will gather evidence on the multiple benefits of energy efficiency and seek to quantify the impact that improving the energy efficiency of a home could have upon health and wellbeing of a person. The scheme will be administered by DCENR in conjunction with SEAI and the HSE. Research on a similar programme in New Zealand found a statistically significant drop in mortality for those households that received energy efficiency interventions. It also found small, but statistically significant changes in hospitalisation costs, pharmaceutical savings and health-related benefits from fewer days off school and reduced medical visits among participants. While the proposed scheme is small, it is promising as it expands the conversation on energy beyond kWh’s to other important metrics such as health, wellbeing and focuses on delivering dignified living conditions to vulnerable people in our society. We need more of this in Ireland. We need more of this thinking in Irish energy planning. Energy efficiency not only contributes to wellbeing but it also contributes to Ireland’s renewable energy targets. Energy efficiency measures such as retrofitting also contributes to Ireland emissions reduction targets, something that renewable electricity does not. Small pilot schemes of this scale are a safe way to test a concept, test a technology, test an idea rather than diving in head first to an ambitious commitment. I for one applaud the scheme and hope that this integrated thinking is a sign of things to come. For now, it is certainly a step in the right direction. In Ireland we are developing research to identify households at risk of fuel poverty that may be able to switch from coal and oil to natural gas. So our short QuERCi II survey to the coral habitats of the Porcupine Bank Canyon draws to a close. We have had a fantastic trip. Not everything worked but the results from the ROV explorations of the canyon were great and give us plenty to ponder. We have got some excellent samples of coral and associated organisms as well as short push cores, to plenty to do in the lab when we get back. We came to this area to look at coral mounds on the lip of the submarine canyon. These are 10 to 30m tall and we were so delighted to find these habitats here. Now, however, we find these are trivial in the canyon context. The corals and a thick cover of sediment formed by them doesn’t just form mounded reefs but extends from 630m to 1200m down the flank of the canyon. There are acres and acres and acres of coral habitat here (!!) to the extent that it is having a major control on within canyon sedimentation. This quite frankly blows my mind. We discovered identifiable rock outcrop. It is a conglomerate made of rounded gravel that looks very much like the Devonian river gravels that outcrop in the Munster Basin. It is certainly very hard and old. Why this important? Because we know very little about the rocks making up the bank, there is hydrocarbon interest in this area and knowing what rocks might be present in the basin is really helpful, especially where so far it is only guess work. We discovered cliff covered in a spectacular Desmophyllum solitary coral community. These are rarely seen habitats, localised and incredibly prolific. We were blessed with this discovery and now have some data which will help us understand more about it. Last week Danny Healy-Rae denied there is a human impact on climate change. This was to be a week of hot debate on the subject of climate change in Ireland which after a long hiatus from public discourse was thrown firmly back on the media radar…… but alas, for all the wrong reasons. On Wednesday while outgoing Minister for the Environment Alan Kelly spoke to an empty Dáil chamber about Ireland’s Climate Change challenge, the topic (driven by Healy-Rae comments) started to trend on social media and even became a more popular search term than ‘One Direction’. This can be seen using a handy tool called Google Trends which shows how often a search-term is entered relative to the total search-volume across various regions of the world. Because it doesn’t disclose actual volume of searches it is useful to compare it to a known popular search term like ‘One Direction’ to get an idea of context. Below shows the indexed searches for the word ‘Climate Change’ in Ireland from 2004 to May 2016. Note the peak in interest in December 2009 for the Copenhagen Climate Change Conference. Now if we layer on searches for the term ‘One Direction’ for the past 12 months (in red, Climate Change in blue) over this we see the relative popularity of each term. Whatever about ‘One Direction’ existing, the scientific evidence tells us that human induced Climate Change does exist and there is a serious point to all this. Climate Change is an extremely important issue for Ireland and the globe. As a scientific community we need to do better at communicating the evidence, uncertainties and consequences of climate change to people like Mr Healy-Rae. It is easy to laugh his comments away and dismiss them as ill-informed but his opinions reflect a growing disconnect between the science and public/political establishments. Minister Kelly speaking to an empty Dáil gauges the level of political appetite for Climate Change. Politically action on climate issues is of course challenging. The reality is that there are not many votes in Climate Change. However, the need to address energy poverty, air quality, water quality, energy security, sustainable employment are all salient issues that resonate with voters and can have a side effect of addressing the broader issues of emissions. Perhaps we need to do better to communicate what action on climate change means. We need to move past the jaded rhetoric of emissions reduction and make messaging on Climate Change more meaningful, relevant and local. Heat, transport and agriculture are issues that affect everyone in Ireland and action on these issues will require broad political and social buy in. Ireland’s energy transition depends on it. A talk I did on ‘Rethinking Climate Change in Ireland’ can be seen here. The science of climate change is complex but the Intergovernmental Panel on Climate Change (IPCC) do a great job of distilling the physical evidence, uncertainties and challenges into very readable documents. It seems like the obvious solution to Ireland’s CO2 emissions reduction challenge: Just shutdown Moneypoint and the peat burning stations to provide a fast acceleration to a decarbonised economy? However closing these power plants will not make any contribution to Ireland’s CO2 emission reduction target and if they were closed today would probably not reduce overall CO2 emissions in Europe. This is a consequence of EU climate policy and the curious case of the ‘waterbed effect’ as explained below. To understand this somewhat counter-intuitive situation we need to look at the policy background to CO2 emissions reduction in Europe and here there are two key pieces of legislation. Directive 2009/29/EC on the EU Emissions Trading Scheme (ETS), which encompasses emissions reduction targets in the electricity sector (and large industry). Here the obligations are imposed on individual companies at individual sites as a group (or bubble) EU-wide. Decision 406/2009/EC, the EU Effort Sharing Decision that covers emissions reductions in the transport, agriculture and heat sectors (collectively known as Non-ETS sectors). Here the obligations are imposed on individual Member States. The Irish State has responsibility for (non-ETS) emissions reduction in heat, transport and agriculture but not in electricity generation and hence closure of power plant can make no contribution to our national binding emissions reduction target which is 20% below 2005 levels. For electricity generation it is the ETS that governs emission reduction and this is applied to companies across Europe. The EU ETS is an environmental law, and therefore falls within European powers and so decisions about the ETS are made at the European level rather than the Member State level. The scheme works on the 'cap and trade' principle. A 'cap', or limit, is set on the total amount of certain greenhouse gases that can be emitted by the factories, power plants and other installations in the system. The cap is reduced over time (see figure below) so that total emissions fall. In 2020, emissions from sectors covered by the EU ETS will be 21% lower than in 2005. By 2030 they will be 43% lower. As the above diagram shows, the cap in the EU ETS can be separated into two: a cap for stationary installations and a cap for the aviation sector. So for example the cap on emission across the EU for 2016 is about 1.9 Gt and here-in lies the issue with premature closure of fossil plant..the cap remains the same whether plant remain in operation or not and this draws the analogy with a Waterbed. Think of the annual emissions cap in the ETS as the volume of water in a waterbed. Now if you push down on one part of the waterbed (analogous to trying to reduce emissions in one part of the EU by closing a coal plant) then the water just shifts to another part (emission will rise somewhere else in Europe) while all the time the annual cap is conserved. In essence this is a very simplified explanation of a complicated issue. In reality the Waterbed effect can take two forms, one (indirect effect) where the early retirement of plant adds to the surplus of emission in the ETS and thus reduces ETS price further and the second effect (direct effect) is where the demand for electricity that was produced by the coal plant may be produced by other fossil plant thus limiting the full impact of the plant closure. This may be a more pressing issue for Member States in mainland Europe. The upshot of all this is that from an emissions reduction perspective, the Irish government has to concentrate on the challenging areas of heat, transport and agriculture. In electricity generation if companies want to emit CO2 they must pay the market price as determined by the ETS or make the decision to close. The Danish owned ‘JS Ineos Intrepid’ has the rather unusual slogan ‘Shale gas for chemicals’ painted across the 180-metre-long tanker. Last week the tanker left the US port of Philadelphia and sailed to Norway to offload its cargo of Ethane. Ethane is derived from natural gas production and the shale boom in the US has made it plentiful. As Europe struggles to diversity natural gas supplies and reduce reliance on imported Russian gas, can we expect to see shipments of LNG from the US coming to Europe in the near future? The EU is the biggest importer of natural gas in the world. Natural gas represents around a quarter of gross inland EU energy consumption. About 26 % of this natural gas is used in power plants (including CHP) and 23% is used in industry; the rest is used in the residential and commercial sectors. Gas is expected to continue to play a vital role in the EU energy system for decades to come with EU modelling showing natural gas at between 20-25% of primary energy consumption by 2050 even under strong decarbonisation scenarios. Recent years have seen a drop in overall gas consumption in the EU with values back to mid-1990 levels. The power sector has seen a decline in gas use due to a myriad factors including low carbon prices, increased renewables, lower demand due to the economic crisis and cheaper coal. The EU’s recent State of the Energy Union address heavily stressed the need for the EU “to diversify sources, routes and suppliers of energy”. About a third of the EU's gas needs are currently met by domestic production (chiefly from the Netherlands) and this is expected to decline in the coming years. Despite efforts to diversify, Russia has remained as Europe’s biggest gas supplier, supplying 40% of EU gas needs. In 2015 Gazprom Export supplied 159 billion cubic meters (bcm) of gas to EU Member States with Germany increasing its offtake of Russian gas in 2015 to 45 bcm. The first two months of 2016 have shown this trend pointing upwards. In its recent Sustainable Energy Security Package, the European Commission pointed to the potential role for LNG in a resilient energy union. There are currently 19 large scale LNG facilities in the EU with the majority of facilities in Spain and Western Europe. This gives good access to potential shipments from across the Atlantic but highlights a wider issue for the EU gas network-Traditionally gas had moved east to west across Europe and the infrastructure to move gas from western LNG hubs to central Europe needs to be improved as identified by a number of the projects of common interest. In 2014 LNG accounted for 10% of EU gas consumption. The EU LNG industry has been competing with higher LNG prices in Asian markets and with pipeline gas prices in Europe resulting in low utilization rates. LNG terminal utilisation in Europe (of total installed capacity) has decreased since 2010, from 53% to just 19% in 2014 (compared with a global average of 33%). However the global LNG landscape is changing and LNG prices in Asia (which are generally oil linked) have dropped significantly in the last year. The European Commission has highlighted the prospect of new liquefaction capacity coming on stream in places like Australia and the United States (and others) in the period to 2020 as a potential driver of lower prices. This optimism has been dampened somewhat recently with the cancellations of some high profile LNG export project such as the Woodsides Browse project in Australia. While the US potential to export large volumes of LNG looks promising, it is not there yet as the ban on natural gas exports remains in place (the ban does not apply to countries that have free trade agreements with the US). The EU needs to diversity its supply options and LNG options will play an important strategic role in this. The recent example of Lithuania’s LNG terminal (Klaipėda FSRU) demonstrates how the bargaining value (albeit expensive) of a new LNG source in the market can drive price competitiveness. The next 3-4 years will be telling. European consumers could stand to benefit from lower gas prices if power plays take place between large gas exporting countries. On the other hand, lower prices make it difficult to finance the investments in infrastructure needed to move gas efficiently around Europe. With EU indigenous production in decline, and gas already providing an important backbone to the EU energy system, the role of gas and LNG will remain high in the EU political agenda in the coming years. Have a look up when you go outside today and you might see one of the 26,000 flights or so that pass over European airspace. It is an incredible amount of traffic and one that is set to grow. A European citizen takes on average 1.2 trips per year and this is estimated to increase to 2.2 trips by 2030. Aviation is an important sector that makes a big contribution to the EU's overall economy and employment, supporting over 5 million jobs and contributing over €350 billion to European GDP ….however all this comes with an environmental consequence. CO emissions from aviation in 2012 in Europe were 150 Mt (million tonnes) representing about 13% of transport emissions or 3% of total EU 28 emissions. This week, EU transport ministers meet in The Netherlands for the first high-level discussions on the EU’s Aviation Strategy, so let’s have a look at some challenges facing the sector. As Europeans we do like to fly: I have taken data from Eurostat Intra-European passenger figures and graphed them as a circular diagram. Okay…the diagram looks a little busy but basically it maps total number of passengers flying from one EU Member State to another and also captures internal domestic flights. I was surprised to see how many people fly between the UK and Spain (ES). This probably reflects Spain’s peripheral location and attraction as a holiday destination. In Ireland almost 25 million passengers passed through Irish airports in 2015 with the UK being the most popular route and in fact Dublin to London is one of the world’s busiest international air routes. In terms of climate policy, many of you may have noticed a distinct absence of talk about aviation at the recent COP21 event in Paris and this is because aviation is a little different. Given the difficulties in allocating a flight’s emissions between countries, the responsibility for emissions from aviation is handled by the International Civil Aviation Organization (ICAO). Through the ICAO, the industry has set a number of very ambitious environmental goals including committing to an average improvement in fuel efficiency of 1.5% per year from 2010 to 2020 and a cap on aviation CO emissions from 2020 (carbon-neutral growth). By 2050, the ambition is to reduce CO emissions from aviation by 50% relative to 2005 levels. This is extremely ambitious and will rely on strong technology innovation and the use of biofuels (bio-jet fuel or bio-kerosene). The industry has displayed good progress in terms of carrying efficiency, and fuel burn of aircraft has fallen by about 45% since 1970. Today a full (note that capacity is important here) single aisle aircraft has a fuel burn of just over 3 litres per passenger per 100 kilometres compared to a 4.5-5.0 Litres per 100km for a new car…(of course the more people in the car the better the economy per passenger/km). Biojet fuel is also an option for emissions reduction and biojet fuel does exist with over 2,000 flights have already taken place worldwide (nice maps of flights here). It is accepted that the main barrier for biojet fuels is primarily economical, assuming the feedstock complies with sustainability criteria. A piece of work I did last year with the Insight-E think tank looked at the potential role for biojet fuel in Europe which showed that while the costs are high, if spread across all domestic and intra-EU-28 flights in 2020 would add between €1.20 and €4.30 to the cost per passenger of a typical 1000 km flight. This is based on achieving the current EU ambition of 2 million tonnes of biojet fuel production in 2020. However the aviation biojet fuel industry is not going well, with little or no production and the cancelling of high profile projects such as BA plans to build a biojet facility in the UK. Another option for emission reduction is emission trading: The aviation industry joined the EU Emission Trading Scheme (ETS) in 2012…albeit very unwillingly. Initially the EU ETS was set to cover 100% of EU aviation emissions, which equated to a third of global aviation emissions. However, in 2013, the EU decided to temporarily suspend enforcement (a move called ‘Stop the Clock’) of the EU ETS requirements for flights operated in or to non-European countries, while continuing to apply the legislation to flights within and between countries in Europe. As the "stop-the-clock" option only covers intra-EU flights it only achieves 26% of the originally intended EU ETS emissions coverage. The box diagram below shows the largest aviation emitters within the current EU-ETS. Interestingly from an Irish perspective, Ireland’s largest registered emitter in the ETS is Ryanair reflecting its large market share and the consequence of the limited ETS coverage. Unfortunately however it is generally accepted that while the ETS is a step in the right direction for aviation, it limited geographical scope dilutes its effectiveness. Following pressure for international groups the ICAO agreed in October 2013 to develop a global market-based mechanism addressing international aviation emissions by 2016 and apply it by 2020. While details on the mechanism are still in preparation it is hoped that it will deliver a meaningful mechanism for serious emissions reduction from the industry. All sectors, including aviation, must contribute to greenhouse gas emission reduction efforts in order to limit global temperature increases, let’s see what 2016 brings in terms of progress on this issue. Thanks to Eamonn Mulholland for edits. A “foul and pestilential congregation of vapours”, as Hamlet once internalized about, has gathered over Portlaoise since about 2000. Numerous complaints have been made by people living and working there over many years about bad smells and headaches and sickness. And so by now the media, the Seanad and of course the EPA are well aware of the town’s periodic problems with air quality. The culprit responsible has even been identified, caught and fined by the EPA. So why has every person that I’ve discussed the RTE programme with criticized the EPA rather than ENVA? The fundamental problem for our EPA and the people of Portlaoise (as well as the rest of the country) is Ireland’s outdated Air Pollution Act of 1987. I’ll get back to that later. First of all to appreciate the air quality problems associated with oil waste-burning systems, a little bit of chemistry is required. The raw chemicals involved are called hydrocarbons because they consist entirely of hydrogen and carbon atoms. When you fill up at a petrol station you are pumping liquid hydrocarbons into your car but we always sense some vapours up our noses while doing it. Hydrocarbons though are just one set of a whole range of chemicals we call Volatile Organic Compounds or VOCs. Now the chemistry happens not only in the ENVA heating tanks they use to treat their hydrocarbon oil waste but also in the atmosphere. So whole sets of new, secondary VOCs can be formed, coming mainly from hydrocarbon reactions with nitrogen oxides, ozone and sulfur compounds. These reactions can lead to the presence in the atmosphere of hundreds or thousands of VOC chemicals at low concentrations. They are mainly compounds like the nail varnish remover called acetone, organic acids and esters (smelly) and the sulfur-containing mercaptans (very smelly). Some of them are toxic like benzene (one of the BTEX chemicals). In fact it is only benzene that has been designated by EU Directives as a VOC that must be measured in local air (called ambient). Its up to date levels are also required to be reported to the public. Both are jobs of the EPA as our “competent authority”. Another of the EPA’s jobs is to issue operating licenses to facilities run by companies like ENVA. It did this close to 20 years ago for the Portlaoise site but crucially for the local population, the license did not include a requirement that ENVA should perform air quality monitoring and odorometry in the town on a regular, if not continual basis. The license system simply means that both ENVA and the EPA know where they stand. If the ENVA plant exceeds agreed odour and air quality limits they will be prosecuted. In other words if there are no smells and BTEX concentrations are measured to be below legislated limits then everyone is happy. Doesn’t it? The answer is no because there are no legislated limits for the hundreds of airborne VOCs that can be present. Currently the monitoring of secondary VOCs in the air is not easy because there are so many of them present and they are found at very low concentrations. However detection techniques are now becoming available to make these sensitive analyses possible. For example a new instrument will soon be available in the CRACLab at UCC to do such monitoring. It’s not cheap to do and will never likely become routine. But for special cases like Portlaoise it could put the locals’ minds finally at rest especially if measurements are made before and after ENVA install their proposed air filtration system. Clearly it is the apparent inaction of the EPA that has led the RTE viewers to blame them more than the actual polluters, ENVA. That is why it is time to change the law in Ireland so that the remit of the EPA puts the health and well-being of the population first. The main focus of Ireland’s Air Pollution Act is to ensure that agreed EU limits for certain pollutants are not exceeded. Other countries (like USA) take a different approach by passing Clean Air Acts. These put the protection of their citizens’ health centre-stage rather than languishing in the wings. 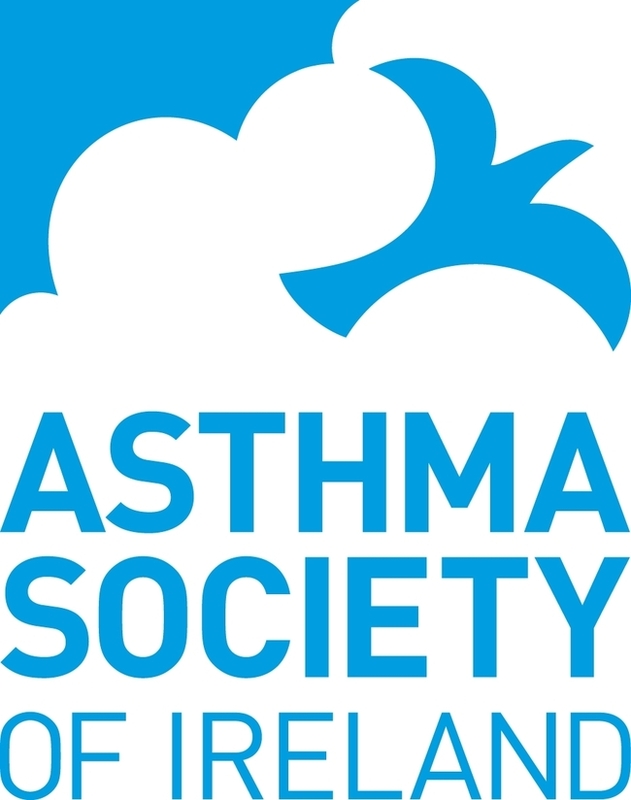 So Ireland needs to follow suit and introduce a Clean Air Act like the one recently supported by the Asthma Society. In the meantime ENVA should get some real-time continuous detection of VOCs done and townspeople should keep diaries as to when they suffer from headaches or feel sick or smell odours. Then a case based on sound scientific foundations can ensure that ENVA do indeed put an appropriate, reliable air filter system into action as soon as possible, no matter what financial cost. It may also prove possible for the relevant local authority to assess the problem by consideration of a compliance certificate under terms of Emissions of Volatile Organic Compounds from Solvents Regulations S.I. No. 565 European Union (Installations and Activities using Organic Solvents) Regulations 2012. In the end two principles should always apply to environmental problems: 1. 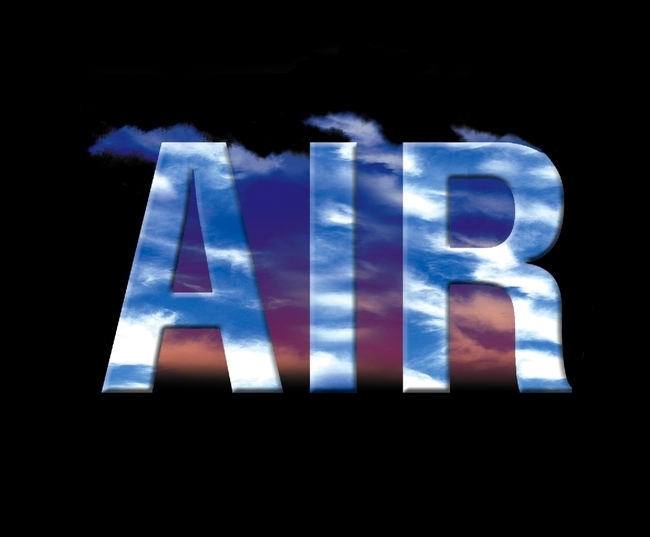 All airborne pollutants should be presumed guilty until proven innocent. 2. The polluter always pays. Climate Change: Who emits the most? Let’s look at global emissions: Most of us are familiar with Absolute Emissions: This is where China becomes the villain with the bulk of emissions. The image here shows a snapshot of the top 20 emitters based on their GHG emissions in 2012. It is interesting to note that 20 countries are responsible for about 80% of global emissions. Now when looking at Emissions -Per Capita we bring it to an individual level. Looking at this metric, the order of largest emitters changes considerably. Emissions per capita are generally high for lower population countries with intensive industries, however the US, Canada and Australia make the list. A commonly used concept for understanding responsibility for climate change isCumulative Emissions which describe a country’s total historic emissions. . This measurement can vary significantly depending on the chosen start date. Data here is from 1850 to 2011 but only shows CO2 emissions. Here Emissions from the EU and United States clearly dominate. Researchers from the Environmental Research Institute at UCC are hosting a side event in COP21 this Thursday (03/12) where our research aims to provide some insights to these same questions (who emits the most and who should pay) but also with a focus on fairness and equity. Mary Robinson, President of the Mary Robinson Foundation on Climate Justice, will also discuss Climate Justice Principles of decarbonisation at the event. Professor Ambuj Sagar, of the Indian Institute of technology in Delhi India, will outline the required frameworks needed for technology transfer from developed to developing countries. Amil-Lee Amin, Division Chief for Climate Change and Sustainability of the Inter-American Development Bank, will respond from the green finance perspective. We'll post up the presentations after the event. * CAIT Climate Data Explorer. Available online at: http://cait.wri.org. Please Note: CAIT data are derived from several sources. Full citations are available at http://cait.wri.org/faq.html#q07. Any use of the Land-Use Change and Forestry or Agriculture indicator should be cited as FAO 2014, FAOSTAT Emissions Database. Any use of CO2 emissions from fuel combustion data should be cited as CO2 Emissions from Fuel Combustion, ©OECD/IEA, 2014. This issue will not go away until more reliable research is performed. Governments and Industry need to invest now. The Minister for Health has just announced (June 2014) that Ireland will become the first European country to order a ban on branded cigarette packets. But what about e-cigarettes? In contrast to smoking we know virtually nothing about the form, nature and contents of the aerosols that expel from our mouths because of “vaping” an e-cigarette. So why is there silence on this issue? Three questions are often posed about e-cigarettes: What are the possible health problems associated with them? Are they safer than cigarettes? Will using them help me with my addiction to cigarettes? To answer these questions the differences between “smoking” and “vaping” need to be outlined. We often read and hear that e-cigarettes emit smoke; they do not. Smoke contains solid particulates that are formed when a material is burnt. We are also told that they emit water vapour; well they certainly involve vapourizing or “vaping” a liquid mixture that contains water….but it is not just water. If it was that pure and simple then there would be no problem because water vapour is a natural part of life. It’s always around us in the air and represents the reason why, on some days, we might feel “sticky”. Actually the most scientifically accurate word to describe what comes out of an e-“smokers” mouth on exhaling is an aerosol (very small droplet) spray. We encounter aerosols every day in the form of clouds and boiling kettles. Most people are also familiar with aerosol spray cans used at home, from fly killers to hair products, because they are a handy type of dispensing system that creates a fine mist of liquid droplets to deliver a chemical product where it’s needed. We are all certainly accustomed to sneezes. These are explosive expulsions of air and droplets from the lungs exiting through the nose and mouth. We know a lot about sneezes. For example 40,000 droplets can be produced by a single sneeze. The aerosol droplet sizes range from 0.5 to 5 µm (microns), dimensions that are about 1/10th to 1/1000th less than the width of a human hair. Finally, sneezes spread diseases by launching so-called “disease vectors” (germs) into the air and into or onto other people. However the area of science that mainly deals with aerosols is focussed on monitoring the contents of our atmosphere. In contrast we know virtually nothing about the form, nature and contents of the aerosols that expel from our mouths because of “smoking” or “vaping” an e-cigarette. Two fundamental questions need answering. What germs (like the flu virus) or chemicals (like nicotine and its vapourized products) do the aerosols transport with both healthy people and those who are ill? Over what distance do the aerosols remain airborne indoors? And so until we do the necessary research associated with the “vapour” aerosols that are generated from e-smoking the health risk assessment must remain unknown. Perhaps you should think about it like this. What would you do if somebody sneezed straight into your face in a confined space? Are the potential outcomes really much different from breathing in second-hand aerosol from an e-cigarette? We need to find out. We can only determine the health effects of e-cigarettes on both young and old if more research is performed. Some worrying results have appeared recently regarding their effects promoting the growth of drug-resistant bacteria like MRSA and also by direct particulate matter ingestion but the studies need to be confirmed. Perhaps the Irish government should sponsor the Health Research Board (HRB) and the Environmental Protection Agency (EPA) to find out some further scientific facts. One of their State Agencies did, after all, invest €5M recently into the building of an e-cigarette manufacturing factory in Connemara. Research into whether e-cigarettes reduce dependency on conventional smoking (like methadone can do to heroin) or promote a degree of addiction toward tobacco in young adults and children should begin now in Ireland. After all we do not want to replace an atomic bomb with a hydrogen bomb. But before all of that we must decide if we should consider e-cigarettes to be innocent until proven guilty (Common Law) or, as I believe, guilty until proven innocent (Napoleonic Code). We certainly waited a long time to legislate against tobacco smoking…..a habit that has been around for some 5000 years. In the most recent years of that period it is more than likely that many people reading (most certainly writing) these words have lost loved ones to lung cancer or other smoking-related disease. Modern e-cigarettes have only been around for about 10 years; we should not have to wait until 7014 AD before governments begin to act. We cannot prevent tobacco companies investing in the manufacture of a new product to fill the gap caused by smoking bans. But national governments do have a duty to fund research in order to protect the general public when too little is known about the alternatives to declare them safe. Until we know more we could, at least, put a ban on the advertising of e-cigarettes. The first news article resulted from a publication in Nature showing that more than 3 million people a year are killed prematurely by outdoor air pollution, that is more than Malaria and HIV/AIDS combined. Atmospheric scientists were unsurprised at this because it is well known that burning coal, wood and peat as fuels in open fires at home releases small solid particles (known generally as soot or black carbon) that can enter our lungs leading to severe health effects on asthmatics and others with respiratory/heart conditions. (The smoke, of course, is not confined to indoors because much also escapes through the chimneys to local air). The real surprise was that domestic solid fuel burning and road transport werenot found to be responsible for the majority of deaths outdoors. The main culprit was farming emissions particularly in Europe, Russia, eastern Asia and the Eastern States of the USA! It turns out that coal releases 50% more NO2 per kilogram of nitrogen oxides than oil and kerosene and six or seven times more than wood. But it is the sulfur content, which is readily oxidized to sulfuric acid in the atmosphere, where coal burning suffers most in comparison to wood because it can contain 100-1000 more in terms of % weight than wood. In fact wood contains very little sulfur indeed, less than 1/500th of its weight. As always then the actual story in the atmosphere is quite complex but although the total banning of smoky coal in terms of its primary particulate emissions compared to wood burning may be disputed, in terms of the secondary chemistry there is no contest: it should be. Those of you burning wood should not be complacent though. You should certainly use high-temperature, enclosed fireplaces at home becauseindoor air pollution from open fireplaces and cooking leads to an additional 3.4 million deaths worldwide each year. PM is a complex mixture of extremely small particles and liquid droplets that is made up by a number of chemical components including acids (like sulfuric and nitric), organic compounds (some carcinogenic), elemental carbon (soot) and metals (like lead). So the materials involved are mainly quite toxic. The composition though is not the only problem: their size matters too. PM2.5 (that is a “fine” particle 2.5 microns in size) is about 30X smaller than the width of a human hair and so ir readily breathed in by us. Remarkable progress has been made over the last 10 years in the science of the health effects and mechanisms associated with PM. For example it is now known that PM exposure at levels experienced outdoors in urban environments has effects on us by increasing risk for pulmonary events in susceptible people. These findings have revolutionized our understanding of interactions between the lungs and the heart, and of the ability of inhaled particles to deposit in the respiratory system and gain access to our circulation and even the brain. The effects of PM toxicity on us, especially the at-risk population such as the young, the old, asthmatics or pregnant mothers, comes in many forms that can prove fatal: asthma attacks, systemic inflammation, vascular dysfunction and cardiac events. In response to this problem WHO (World Health Organization) have recently published two new sets of guidelines. The first is on indoor air quality related to household fuel combustion and a second on lower limiting values for PM2.5 exposure, which are much lower than those operating currently in the EU. They focus on the inefficient burning of solid fuels in households as being an important contributor to the 482,000 deaths counted in the European Region during 2012 that were directly related to air pollution. On its own initiative Ireland has introduced a “smoky (bituminous) coal” ban in many cities and towns over the past few years and bodies like the Department of the Environment and EPA are committed to delivering cleaner air. In fact as a result of consultations with the public a North-South Study was set up in 2012 to provide advice on the burning of solid fuel in Ireland and its environmental consequences. Although the final report is still awaited the Minister for the Environment recently announced a full ban on smoky coal sales to be introduced in Ireland by 2018, perhaps earlier. The reasoning is that because of coal’s high PM2.5 emission levels (4.3 kg/1000 kg burnt) compared to home heating oil (0.1 kg/1000 kg burnt) and gas (0.0/1000 kg burnt), we should begin a move to alternative fuels. But this is a problem in Ireland because so few areas have networked natural gas supplies. Worse is the ready availability (sometimes free) of wood, turf and peat. It may come as a surprise to you that burning peat and wood produces larger quantities of the PM2.5 ninja killer than smoky coal. The figures are: 4.5 kg/1000 kg burnt for peat and 9.0 kg/1000 kg burnt for wood. The second figure is twice as high as that measured for smoky coal. So the answer often put forward is “smokeless coal”. However although there is less primary smoke emitted from “smokeless” it does contain more sulfur. This is important because sulfur compounds in air can go on to form secondary particles that are sometimes more damaging to our health than the primaries. Different types of “less smoke “coal need to be evaluated before we can say this represents a sensible way forward. Solar energy is the only real fuel alternative that has no health effects and no global warming problems associated with it. How’s life in Ireland 2015? A recent report from the OECD stated that air quality in Ireland is among the highest in the OECD with low average levels of exposure to PM2.5. One reason for this is its location on the western edge of Europe with prevailing south-westerly winds from the Atlantic Ocean. But that does not mean we should have no concerns and therefore be complacent. Firstly there is no lower threshold at which fine particulate matter has no health effects on us. Secondly the new WHO guidelines on PM levels that are lower than the currently legislated values set by the EU and adopted by us. Although our average levels of PM are often within the currently accepted limits, we would often fail the new WHO tests. More than that of course is the question whether even one death directly attributable to solid fuel burning is acceptable to society? Thirdly, in Ireland do we really know what levels of PM there are in in most places, particularly small towns as they are rarely monitored and certainly not in real-time? One instruction in the CAFÉ Directive of the EU that sets the limits and monitoring standards to individual countries for monitoring their air is that “up-to date” information must be made available to the public about air quality in their location. Most countries interpret this legal necessity by taking real-time measurements of PM with real-time (immediate) or near real-time (within a couple of hours) reporting to the public. They do so by means of international websites such as the World Air Quality Indexhttp://aqicn.org/map/europe/ and the EU sponsored “Air Quality in Europe” database http://www.airqualitynow.eu/comparing_home.php. Ireland (until very recently) has not participated in either of these networks because the EPA does very little real-time measurements of PM throughout the country. What this means is that although what the OECD report states might be true from the perspective of monitoring average values over days and months, individual PM pollution episodes may be missed (averaged out) by instrumental measurement but nonetheless inhaled by somebody pushing a pram with a baby. It can be especially problematic for anybody, such as a jogger, in a small town on a cold night with cars and trucks passing by when many houses are burning wood, coal and peat. So the real-time events would be missed by the EPA but nonetheless impact on the public leading to possible adverse health outcomes, certainly if they happened on a regular basis. The development of a clean air strategy for Ireland depends on the provision of firm scientific evidence for decision makers in Ireland to change and improve policies for reducing emissions that cause air pollution. The scientific foundation requires: (i) Commissioning an extensive, national network of identical instrumentation capable of the real-time measurement and reporting of toxic air pollutants such as PM2.5 and nitrogen dioxide; (ii) The capability to directly correlate the air quality results to epidemiology in a national network that collects health data on, for example, respiratory illnesses (in terms of doctors’ appointments, hospital admissions etc). Ireland should then introduce a Clean Air Act (for national co-ordination rather than local control) with the health and well-being of the public being its central aim. The legislation would replace the Air Pollution Act (1987) with its central aim of ensuring that EU legislation is complied with on a local level. This new legislation would be based on high quality air monitoring measurements to validate the current emission inventories approach. Most international Air Quality websites provide extensive “education” sections aimed at primary and secondary schools as well as the general public. EPA must improve this aspect of its own output and not just by tweeting or websites….it has to be much more active with stakeholders by means of newspapers, podcasts, magazines and TV regarding Air Pollution. Perhaps it should link directly into the crac.ucc.ie website. In this regard, the education of UK citizens about the risks associated with air pollution has been improved immeasurably recently by the development of a “Clean Air in (UK) Cities App”. This innovative form of communication provides the public with information on population-weighted annual mean concentrations of total PM2.5 for local areas, regions and England as a whole compared to the WHO guideline. It also gives the percentage of total deaths attributable to long-term exposure to anthropogenic PM2.5 in each area; and time to the next such attributable death. Furthermore in the UK, real-time co-operative networks, termed “syndromic surveillance systems” have been set up between GPs reporting diseases like asthma. The impacts of air pollution episodes on the health outcomes are then assessed centrally. The most important example of this initiative is to be found with two periods of time in 2014 for which widespread poor air quality was measured by the DEFRA real-time network of instrumentation. Analysis of healthcare-seeking behaviour (GP visits) indicated in these same periods that there were 1,200 consultations for breathing difficulties during the first air pollution episode, and more than 2,300 during the second. In fact, for severe asthma, there were an estimated 100 cases during the first air pollution period and more than 400 cases during the second. Although this approach is still in its research stage, it does show the power of combining simultaneous real-time studies of air quality with real-time studies of healthcare visits but with both performed on a national scale. A comprehensive clean air strategy for Ireland would need, at least, to learn from these developing best practices available to the citizens of other countries. It really is no time for complacency. This week I was at the Sunday Business Post’s Power 2020 Summit in Carton House, Kildare. The event was chaired by the paper's business correspondent Jack Horgan-Jones, and speakers provided an interesting overview of challenges and opportunities for Irish businesses in the renewable electricity sector. One thing that became immediately apparent was the buzz and excitement around solar PV in Ireland. This is in marked contrast to conferences a number of years ago, where if you mentioned solar in Ireland you would have been laughed out of the room. But solar has a lot to be excited about. Solar PV has led the way for renewables in terms of cost reductions, through both lower production costs and prices for solar panels. In the ten years to 2013, the annual market for solar PV increased 70-fold, when it reached almost 40 GW, then remained stable in 2014. China is the largest market for solar PV in the world with a target of just under 18 GW to be added in 2015. The progress has been impressive but where does solar fit in Ireland? First let’s look at the policy landscape between now and 2020. Ireland has a mandatory target of 16% renewable energy of gross energy consumption by 2020 under the EU Renewable Energy Directive (2009/28/EC). This comprises national targets of 40% for electricity, 12 % for heat and 10% for transport. We are just about on track to meet our national renewable electricity target of 40%, but will probably fall short on the overall target of 16% by about 1-2 percentage points (by my estimation) due to slow progress on renewable heat and renewable transport. The overall target of 16% is important as compliance and associated fines for non-compliance are based on this. For solar to fill this gap (1% gap), approximately 1,700 MW of solar capacity would be required. This would require a huge amount of solar deployment from now until 2020. Other ways to ‘bridge the gap’ to the binding 16% target would be to add extra wind capacity (approximately 520 MW) or to progress movement on renewable heat (add an extra 160 MW). It will be interesting to see what impact the Renewable Heat Incentive will have on this. Now let’s look at costs, based on albeit crude calculations for a snapshot year. There was a general feeling at Power Summit that a support mechanism of about 15€c/kWh would be sufficient in the short term to kick start the solar industry in Ireland. Wholesale electricity market prices today are 6€c/kWh which effectively means that to fill a 1% gap to target, €122 million would be required in the form of state support. Current state support for wind through REFIT is 7€c/kWh. I estimate the total (levelised) cost of DS3 and Grid 25 will add an extra 3€c/kWh, meaning that to bridge a 1% gap to target, €55 million is required in the form of state support. So wind today is cheaper (by 5€c/kWh or €68million for a 1% contribution to the overall RES target) but it is probably fair to say that solar may have higher social acceptance and that solar costs are decreasing rapidly. However closing the gap to target through solar comes at a much higher cost. Post 2020, the policy landscape for solar may be more challenging in Ireland in the absence of renewable energy targets. In November 2014, the European Council agreed an EU wide target for 2030 to achieve a 27% renewable share of energy use by 2030, but indicated that there would not be mandatory member state renewable energy targets for 2030. In the absence of a renewable target, and the fact that the emissions from electricity are the responsibility of companies in the European Emissions Trading Scheme and therefore not the responsibility of the State, it may be difficult to justify state support for solar and renewables in electricity generation. Innovative business cases will be required, as the Irish state needs to shift its focus to its legal responsibilities for emissions reduction in heat, transport and agriculture. So what do you think about solar PV in Ireland? Is there a public willingness to pay the extra cost or should we wait for costs to reduce further before taking action? Let me know what you think. My crude calculations in excel can be viewed here. Let me know if I have missed anything. Thanks to Dr Fionn Rogan for edits. Ireland has a poor environmental record when it comes to emissions reduction and the numbers don’t tell a good story. As Irish Citizens we have one of the largest carbon footprints per capita in the EU. As tax payers we are paying subsidies of over 120 Million Euro this year to peat burning power stations generating over 1.5 million tonnes of harmful emissions. We are all too aware of the poor state of Irish houses. Almost 20% of Irish households have been affected by fuel poverty. The State has spent over 2€ billion in the last ten years assisting people pay their fuel bills while all the time we have the highest reliance on oil for residential heating in Europe; oil that is imported at a cost of billions each year. Ambition for emissions reduction is important but it must be tempered with reality. Ireland currently has a plethora of climate and energy targets of renewable energy and emissions reduction for 2020, none of which we are on track to meet and which may lead to fines from the EU. Previous emission reduction targets for Ireland overlooked many or Ireland’s peculiarities, notably that one third of our emissions come for agriculture (it’s hard to stop cattle belching) and the challenges in implementing efficiency and renewables in heat and transport (our dispersed population and poor legacy building stock has led to a higher than average CO per capita in both these areas). Today Irish energy and climate policy is viewed through a narrow lens with a focus on electricity. How much wind? When will solar PV arrive? Electricity represents just one fifth of the energy we consume and 20% of our GHG emissions. EU law (Directive 2009/29/EC) already legislates that emissions reduction in electricity is actually the responsibility of companies who produce electricity and not the Irish State. The Irish State is however responsible for emissions reduction in heat, transport and agriculture. These are very difficult sectors to tackle but if real impactable change is to happen post the excitement of COP then we need to widen the focus of our energy and climate policy. We also need a political consensus that energy and climate issues need to be addressed. Currently this is absent in Ireland; the painstakingly slow progress of the climate bill reflects this and the fact that the bill was not discussed pre COP confirms this. Politically action on climate issues is of course challenging. The reality is that there are not many votes in Climate change. However the need to address energy poverty, air quality, water quality, energy security, sustainable employment are all salient issues that resonate with voters and can have a side effect of addressing the broader issues of emissions. Perhaps we need to do better to communicate what action on climate change means; perhaps we need to move past the jaded rhetoric of emissions reduction and make our messaging more meaningful, relevant and local. Heat, transport and agriculture are issues that affect everyone in Ireland and action on these issues will require broad political and social buy in. Ireland’s energy transition depends on it. The climate summit will come and go and in the end we will be left with a number-a % reduction in emissions…that’s the easy part; Translating that number into action is where the challenging begins. “We are the first generation to fully understand climate change, and the last generation to have the opportunity to do something about it.” Both Ban Ki-moon and Barack Obama, repeated this message this week in Le Bourget, the site of the COP21 meeting in Paris. It seems that the message science has been saying for years has finally jumped to the political consciousness. This acknowledgement is a positive step forward, but if the science is clear, the politics and finance is not. The distribution of the future carbon budget across countries in proportion to their historical emissions is one of the core issues being negotiated in Paris: what is fair? who pays? what is just? While the scale and science of climate change can be bewildering, the complexity of the topic has been distilled into a key message via a single actionable number: the carbon budget. The carbon budget is the amount of carbon that humans can emit into the atmosphere, while at the same time, limiting global warming to 2°C (above pre-industrial levels, i.e. the late 1700s). Today, the global carbon budget budget is 1,200 billion tonnes. This is a number we should all know. Globally, humans are responsible for emitting about 50 billion tonnes of CO2e (CO2 equivalent) per year: this includes all the greenhouse gases (GHG) such as carbon dioxide, methane, and nitrous oxide from fossil fuel combustion, cement production, land use change, agriculture, and fertilisers. In the future, if we emit more than 1,200 billion tonnes of CO2e, we will - with 66% probability - have committed the planet to a 2°C temperature rise. Given our current systems and ways of life and business that emit 50 billion tonnes of CO2e each year, and in the absence of any concerted action to change this, we can expect to breach a 2°C temperature rise in the next 24 years or so. Collectively we must acknowledge that climate change is a commons problem of inequity. Climate change is about equity because certain countries have historically had a free pass to emit greenhouse gases into the global atmosphere (the commons), while benefiting from the associated carbon intensive development. These countries are not necessarily the same countries who will face the more extreme damage costs expected with climate change. This acknowledgement requires us to reflect on our past - without judgement - and understand the opportunities we have gained from being born into a country which has greatly benefitted from carbon intensive development. This brings us to the second number we should all know. Taking into account that our climate’s warming is measured relative to pre-industrial levels, climate scientists estimate that the all-time carbon budget (including past andfuture) to stay below 2°C warming is 3,200 billion tonnes of CO2e. Since the industrial revolution, Ireland has emitted 1.6 billion tonnes of CO2e. Ireland, unlike the historically more industrialised countries of Western Europe, still has a share of the 3,200 billion tonnes of the carbon budget that (as calculated on a cumulative emissions per capita basis) could be considered equitable. This equitable share of all time Irish emissions, based on historical UN population data and future population projections, is approximately 1.9 billion CO2e. Therefore, Ireland has roughly 340 million tonnes CO2e left to equitably emit - beyond this, we will have emitted more than a per capita equitable share of the global carbon budget. All countries face the same questions about an equitable per capita carbon budget: what is fair? who pays? what is just? Researchers from the Environmental Research Institute at UCC are hosting a side event in COP21 this Thursday (December 3rd) where their research aims to provide some insights to these same questions on a global scale. Which countries/regions have already exhausted their equitable share of the global CO2 budget? Which countries/regions are likely to surpass their equitable budget in the near future? Which countries/regions are unlikely to ever fill their equitable proportion of the atmospheric commons? Which developed countries/regions should invest in developing countries/regions under the UN principles of responsibility and capacity? How much, and when? Some information about the ERI delegation going to the side event is here and here. The agenda for the event is here. A new approach to fostering international cooperation on climate action will be road tested at the Paris climate conference. At its heart are pledges made by individual countries to manage their carbon footprints. So far 180 countries have come forward with commitments covering over 95% of global emissions. Focusing on national pledges can be traced back to the Copenhagen conference in 2009, when the international community failed to agree a climate treaty binding all countries. The lesson was clear. Attempting to impose legally binding targets on countries from above – an approach then favoured by the EU – would be resisted, particularly by emerging economies such as China and India. Agreeing a “ratchet” mechanism to compare, monitor implementation and increase the ambition of pledges over time. Oiling the ratchet mechanism by boosting clean-tech R&D, thereby ensuring more cost-effective solutions are available over time. Delivering in these three areas could help address the elephant in the Paris room: the lack of collective ambition, which leaves the world on course for severe, irreversible and potentially catastrophic climate change. The first objective of negotiators will be to incorporate national pledges into an agreement or Treaty of some sort. The legal nature of the agreement and its constituent parts will receive quite a bit of attention. But perhaps this risks missing the point. Kyoto was a legally binding treaty, but its legal standing did nothing to ensure US ratification, or to prevent Canada withdrawing when it became clear that its targets would not be met. If Copenhagen was a train with no one aboard, Paris is a train moving too slowly. Assessments of the aggregate impact of pledges currently on the table suggest that planetary warming could reach approximately 2.7 degrees Celsius by 2100. While this is less than the current trajectory of 4 degrees or more, the pledges are clearly insufficient to meet the globally agreed target 2 degree target. Managing the trade off between inclusivity and ambition is perhaps the key challenge facing negotiators. So how can we speed the Paris train up over time? The key is the “ratchet mechanism”, aimed at monitoring implementation of pledges and allowing for increased ambition every five years. The scope of the ratchet mechanism is unclear. Would the ratchet mechanism concern itself with what countries ought to contribute, considering their “common but differentiated” national circumstances? If so what yardsticks would be used to assess commitments – emissions per capita, historic responsibility for climate, emissions per unit GDP, availability of cost-effective mitigation potential? To what extent will the review process involve peers or international actors, or would it be nationally led? Making ambitious pledges is one thing, delivery is another, with climate “implementation gaps” evident in many OECD countries. Would a ratchet mechanism monitor implementation of pledges, or would that be left to a separate mechanism? A third option – clearly less desirable from an environmental perspective - would leaving countries to their own national devices, or a national review process. Another difficulty to be grappled with is comparability of pledges, which is a necessary condition for transparent review. The Lima negotiations had tried to agree a template for pledges in December 2014. The agreement stated that pledges should be developed in a manner “that facilitates …clarity, transparency and understanding”, and that they “may” include several elements (timeframes, scope, assumptions etc.) that would enable comparability. The weakness of the Lima outcome is evident in the pledges that have been submitted. Compare, for example, Saudi Arabia’s pledge, which contains no commitment of any sort, with the EU pledge. The latter details a clear target for emissions reduction, a baseline, and an explanation of why the EU considers its pledge “fair and ambitious”. Can countries be persuaded to follow a template when making pledges? As this seems unlikely, reviewers may be faced with comparing bananas with tomatoes. The third ingredient, more clean-tech R&D spend, is necessary to lubricate the ratchet mechanism, and facilitate emerging economies in taking on more ambitious pledges every five years. While major strides have been made in making on-shore wind cost-effective, more innovation is required in “enabling technologies” to reduce the variability of wind and solar PV or increase the flexibility of power systems. Key areas include demand-side integration, energy storage and smart grid infrastructure. Other technologies on the generation side such as carbon capture and storage have made almost no progress over the past decade. Paris has perhaps already exceeded expectations on this respect, following the announcement of two separate initiatives on the first day. “Mission Innovation” is a Government initiative involving 20 countries,including the US, Saudi Arabia, Brazil, India, Japan and China. Its objective is to double the level of clean tech innovation over the next five years. A separate though related private-sector initiative led by Bill Gates, the Breakthrough Energy Coalition, seeks to mobilise investment from 28 billionaires in a way that will be “truly transformative”. Its objective is to “focus on early stage companies that have the potential of an energy future that produces near zero carbon emissions and provides everyone with affordable, reliable energy”. It will be interesting to watch the development of these two initiatives, how they are coordinated and what value added they bring. The focus on more R&D is welcome. It shouldn’t be forgotten, however, that in many cases what is required is the deployment of already mature and cost-effective technologies. There needs to be a focus on removing non-economic barriers preventing deployment and an understanding that low-carbon transition is a societal project involving people, communities, and institutions, not just technologies. Nor does the urgency of the challenge permit the luxury of waiting for silver bullet solutions that may never arrive. To conclude, a new approach to international negotiations will be tested in Paris. Facilitating countries in determining their own pace and levels of commitment has succeeded in brining all major players to the table. Now the key is to ensure more ambitions national pledges. Three pillars for a successful outcome from negotiations are therefore emerging. The first is national pledges, preferably following an agreed template and incorporated into an international agreement. Second a robust, transparent and effective “ratchet” mechanism to review pledge ambition and implementation. And finally the magical ingredient is more funding for clean-tech R&D, which can lubricate the ratchet mechanism and speed up global decarbonisation over time. These are the yardsticks by which I’ll be judging the Paris outcome. Joseph Curtin is Senior Fellow for climate policy at IIEA and UCC, and a member of Ireland’s recently established national Climate Change Advisory Council.